The Battle of the Atlantic was raging when the SS Gairsoppa, a British India steamer, left Calcutta in December 1940 carrying goods for London desperately needed for the war effort. 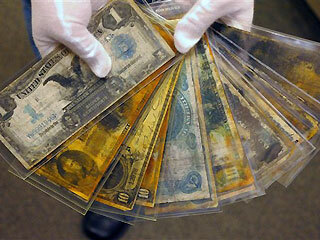 Alongside was a secret cargo of three million ounces of silver. Three days from home a German submarine struck. The Gairsoppa sank fast southwest of Ireland. After 70 years her remains were discovered 4,700 metres beneath the waves. From deep in the hold 700 letters were recovered. The largest collection of lost mail from any shipwreck worldwide gives voice to the daily lives, fears and dreams of British soldiers, officers’ wives, businessmen and missionaries writing home to loved ones in England, Scotland and America as Christmas 1940 approached. Their words are a remarkable echo of World War II India and Britain from the frontline to the fireplace. Voices From The Deep tells the story of British India, the Gairsoppa and the convoy war using the wreck’s wide-ranging finds. The cargo included tea and iron, while the small finds – tea and coffee pots, beer, medicine and liquor bottles, cups, coins, shoes and newspapers – are a vivid snapshot of life at sea for Britain’s merchant marine. For 264 years Britain’s greatest flagship was thought to have sunk off Alderney, lured onto the Casket rocks by a negligent lighthouse keeper. New evidence published by the Maritime Heritage Foundation and Odyssey Marine Exploration instead reveals scandals in the royal shipyards that might have made the First Rate Victory a disaster waiting to happen. • The loss on 4 October 1744 of the battleship the Victory gave birth to one of the most enduring mysteries in British maritime history: how could the greatest warship of the Georgian age of sail, manned by up to 1,100 people and armed with 100 bronze guns, simply vanish? Reports of mass wreckage washed onto the Channel Isles, confirmed by an Admiralty search and rescue mission, inspired a belief that the Victory collided with the black rocks of the Caskets and was lost off Alderney. An enquiry held by Trinity House investigated claims that the dozy keeper of the Casket lighthouse failed to keep its lights burning and was the main cause of the flagship’s loss. This article presents the historical evidence underlying the myth of the Caskets sinking and the evidence for the alleged inattentiveness of the lighthouse keeper. • The sinking of the Victory was widely attributed to defects in her construction. The era when she was built in Portsmouth dockyard from 1733-37 coincided with a period when the proportions of warships and the leadership of the surveyor general of the navy were severely questioned. Matters came to a head in a series of extraordinary attacks on the establishment in 1744 by Admiral Edward Vernon, ‘Old Grog’ himself. The Victory’s construction overlapped with a succession of moderate winters from 1730-39 that made the seasoning of cut timbers for shipbuilding a long, if not impossible, process. Combined with declining wood supplies in the New Forest, wood rotation mismanagement in dockyards, and criticisms of inadequate ship ventilation causing internal dry rot, this article enquires whether the sinking of the Victory was a matter of ill winds and stormy seas or was alternatively caused by human error – a disaster waiting to happen. • After three decades of shipwreck salvage, the pioneering veteran diver, John Lethbridge, approached the Admiralty in mid-December 1744 with a plan to seek and salvage the Victory using his proprietory diving-barrel. Lethbridge’s two letters of petition, and an accompanying note, are important documents in the history of diving and for understanding the folklore that believed the Victory sank off the Caskets. Trevor Newman’s article presents John Lethbridge’s Victory letters for the first time, reconstructs the final hours of Admiral Balchen’s fleet and offers a forensic analysis of the flagship’s sinking by catastrophically having brought by the lee after the ship was overtaken by huge waves from astern. Or see the latest issue of Current Archaeology for a nine-page popular spread. Also covered in The Independent. 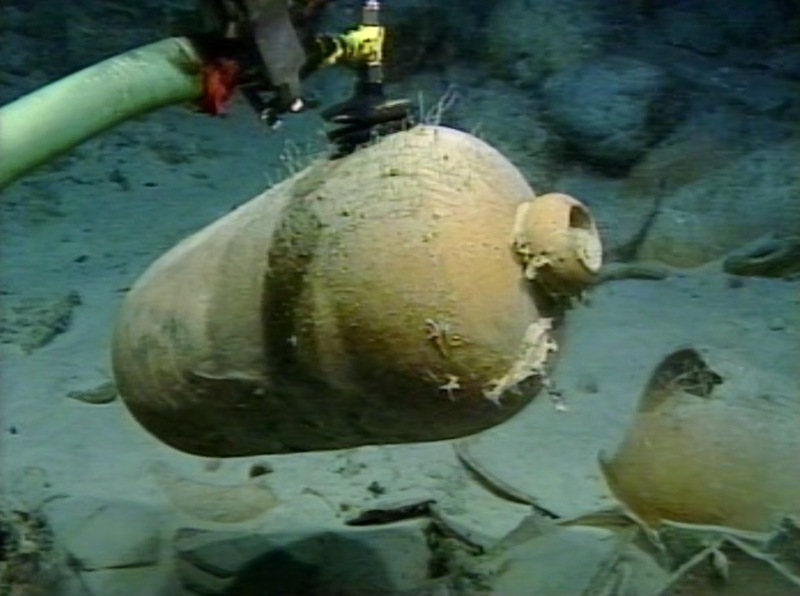 Oceans Odyssey 4 presents a major collection of olive jars, tablewares, cooking vessels and tobacco pipes excavated from the Tortugas shipwreck at a depth of 405 meters in the Straits of Florida. 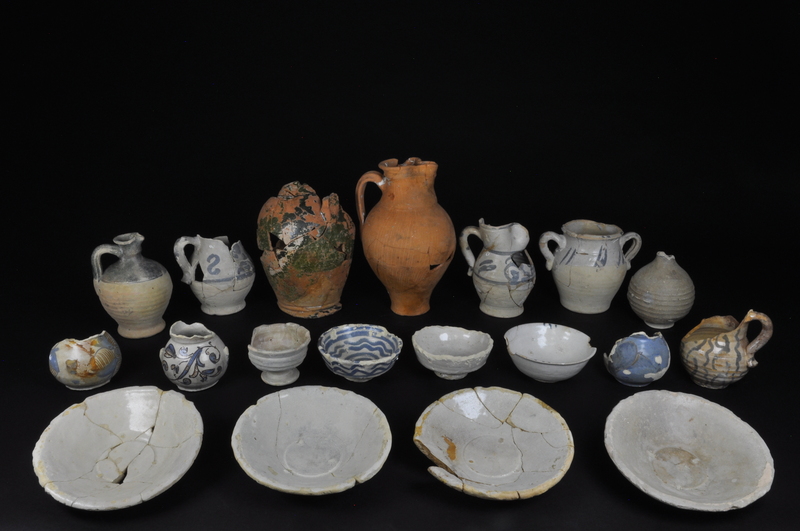 The Spanish ship’s Seville dominated pottery dated to 1622 is an index of unchanged cultural tastes and production at the end of Spain’s Golden Age. For cooking the crew relied on Afro-Caribbean colonoware, possible evidence of maritime slavery in the Americas fleets. Tin-glazed plates painted with the papal coat of arms may have served Spanish clergymen from the newly formed Sacred Congregation of the Propagation of the Faith. The Andalusian olive jars are compared to Roman Baetican amphoras as microcosms of distinct economics. Samples of all ceramics were subjected to Inductively-Coupled Plasma Spectrometry (ICPS) to assess vessel origins. Greg Stemm, Sean Kingsley & Ellen Gerth (eds. ), Oceans Odyssey 4. 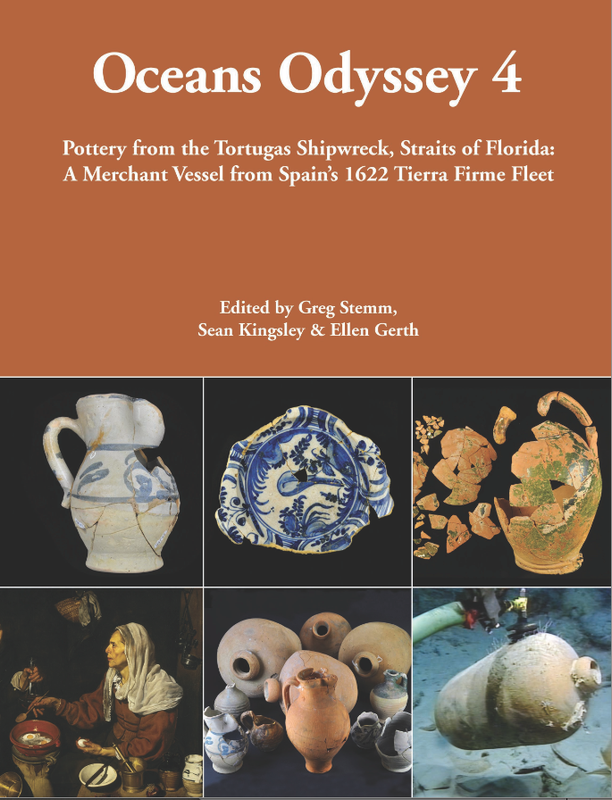 Pottery from the Tortugas Shipwreck, Straits of Florida: A Merchant Vessel from Spain’s 1622 Tierra Firme Fleet (Oxbow Books, Oxford, 2014). Unseen by the public for 269 years, the greatest warship from the age of sail can now be visited through the world’s first virtual wreck dive trail. HMS Victory sank during a ferocious storm on 5 October 1744. Remains washed up on the Channel Isles, leading the Admiralty and modern historians to seek this First Rate English flagship off the Casquets. This great maritime mystery was solved when Odyssey Marine Exploration discovered the wreck 100 kilometres west of the Channel Isles. The wreck site is owned by the Maritime Heritage Foundation following a gift from the Ministry of Defence in January 2012. Located in the western English Channel, 80 kilometres southeast of Plymouth and outside UK territorial waters, the wreck of the Victory is almost inaccessible. Her remains lie in 75 metres – beyond safe diving depths and beneath one of the world’s busiest shipping lanes. Changing tides and strong currents make diving by humans dangerous. Offshore fishing boats drag heavy gear across the seabed. 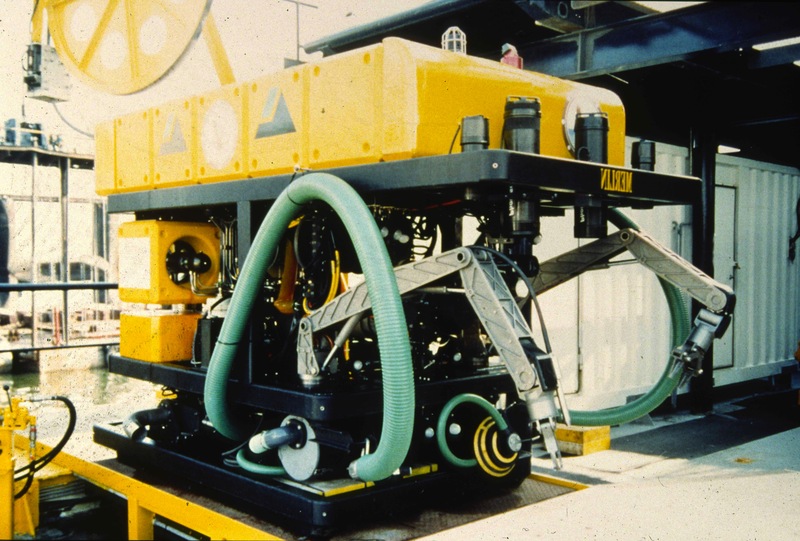 For safety reasons the surveys conducted since 2008 have relied on Odyssey’s 7-ton Remotely-Operated Vehicle Zeus, the world’s most sophisticated archaeologically tooled robot. Now everyone can share the warship’s deep-sea wonders. 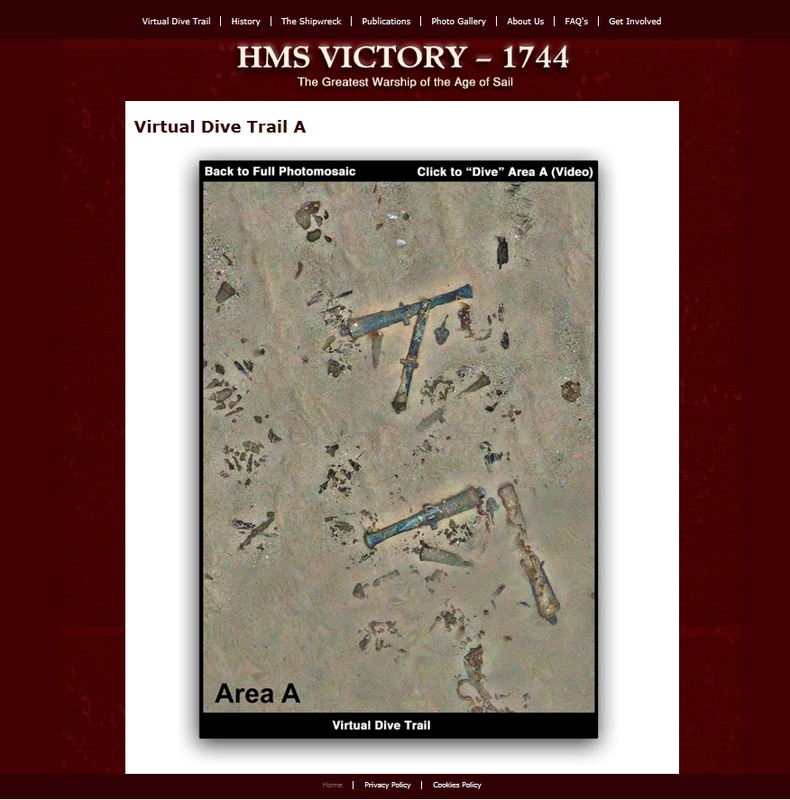 The Victory Virtual Dive Trail presents high-definition video coverage. 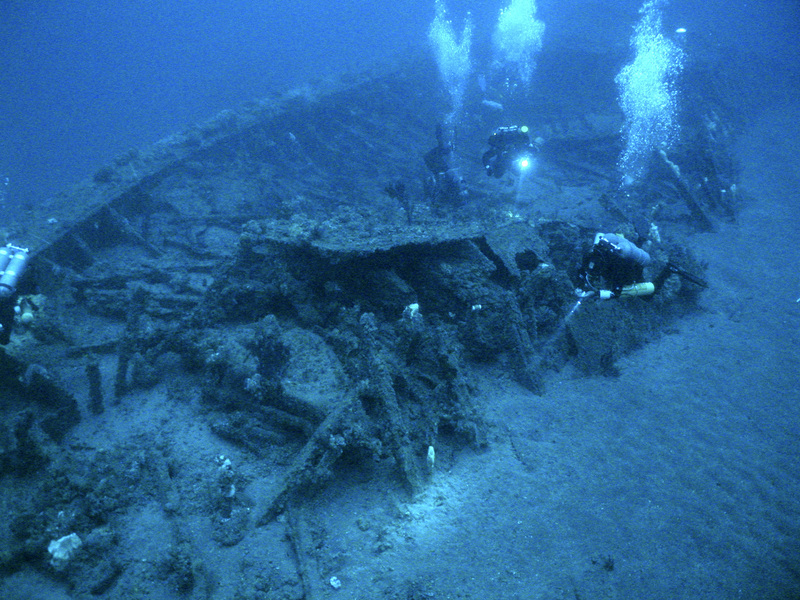 Visitors can move across the wreck – using a bird’s eye vertical view made up of 4,535 digital photographs – to micro views of the wreck and, in turn, to high-definition video taken in 2008. The video trail shows many of the Victory’s most prized features – its 100 bronze cannon collapsed onto the seabed (including Europe’s most powerful 42-pounder guns), hull remains, wood and bronze rigging, iron ballast, anchors and the ship’s rudder. Accompanying text sets the archaeological remains in a historical setting. The site’s survival is threatened by many environmental and human issues and the Virtual Dive Trail shows snagged fishing gear, heavily scratched cannon, and guns dragged up to 230 metres away from the wreck mound. 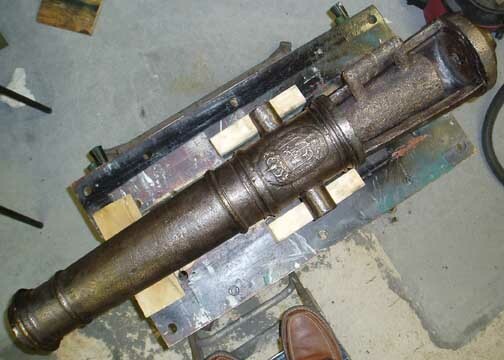 Video captures the position of a 24-pounder bronze cannon before it was looted by Dutch salvors in 2011. The Victory Virtual Dive Trail is part of the Maritime Heritage Foundation’s commitment to making this deep-sea site accessible to everyone through scientific and educational programmes. 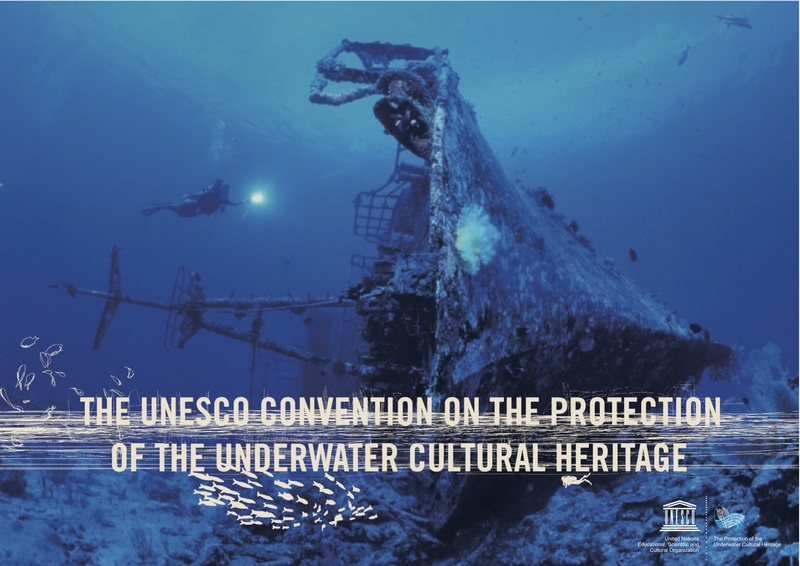 The UNESCO Convention on the Protection of the Underwater Cultural Heritage encourages non-intrusive access to shipwrecks worldwide to create public awareness, appreciation, protection and to benefit sustainable economic development. This is why a virtual dive trail has been created to bring the site to the people. The Victory Virtual Dive Trail has been developed by the Maritime Heritage Foundation, Odyssey Marine Exploration and Wreck Watch Int. 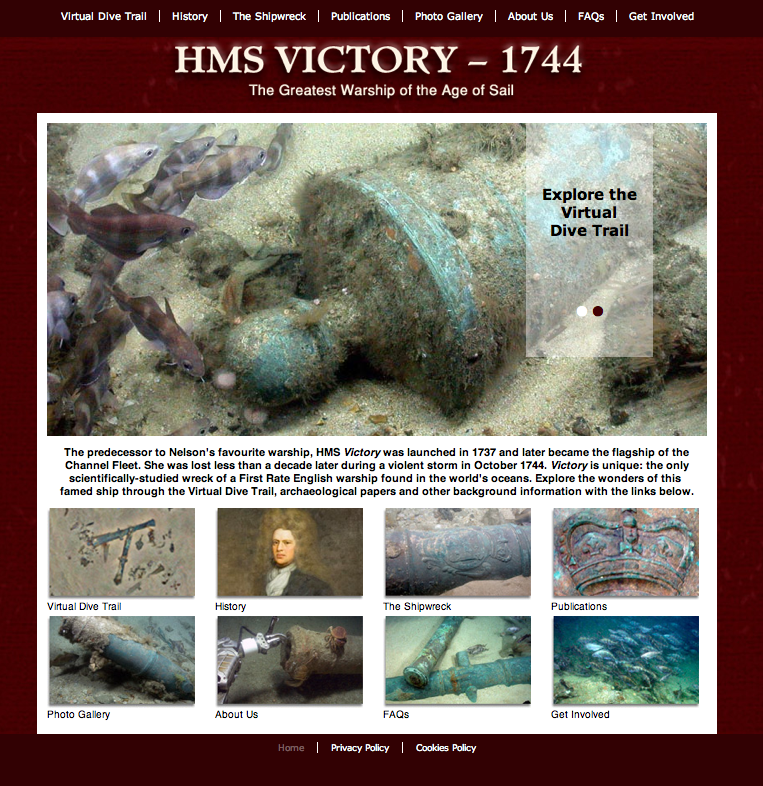 The website platform and its additional sections on the historical and archaeological background of HMS Victory can be visited at: http://www.victory1744.org. Thomas Hardy, The Well-Beloved (1897). Peering down onto Chesil Beach from the heights of Portland Bill, the imagination takes flights of fantasy. Can there be a more striking maritime landscape in all of Britain? The romantic inspiration for realms of poetry and prose, far less known is this famous Dorset landmark’s infamy as a sprawling ships’ graveyard. Chesil Beach is a natural trap for flotsam and jetsam, and was grimly renowned for the shipwrecked bodies washed up onto its shore. Thomas Hardy called these waters Deadman’s Bay. The Dead House where bodies were laid to rest still stands at the back of Chesil Cove. 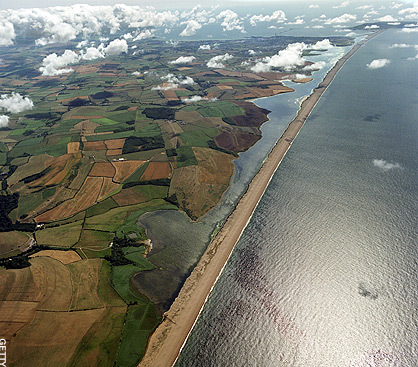 Around 200 vessels from all nations met their fate along this 18-mile bank of pebbles running westwards from Portland to Burton Cliffs. In July 1588 a captured Armada ship, the San Salvador, sank here, as allegedly did the Isobel privateer alongside 20 other ships in a single storm on Christmas Day 1600. A Golden Fleece in 1706, a Charming Molly in 1754 and endless other ships grounded on the ever-shifting pebbles into the 20th century, spilling onto the beach and the open arms of local wreckers their cargoes of tobacco, copper, tin, raisins, salt, wine, slate, timber, cloth, wool, sugar and shale. While the sailing world converged on the Portland Harbour Olympic venue in summer 2012 a few paces east of Chesil across the beach, the ink had just dried on Selwyn Williams’ book describing one of the most colourful and important ships ever to meet its maker in these waters. Hardly surprising for someone born overlooking Chesil Beach to a merchant seaman father, Selwyn’s Treasure of the Golden Grape (Deadman’s Bay Publishing, Dorchester, 2012) is clearly a labour of love. Thanks to the Dutch ship’s cargo of gold and silver, and the quite remarkable furore that swirled around its salvage over four days from 11 December 1641, this book provides a rare insight into the world of Spanish contraband trade and the lengths local wreckers went to in order to profit from misadventure – a moment in time linking two of the most evocative themes in maritime history. 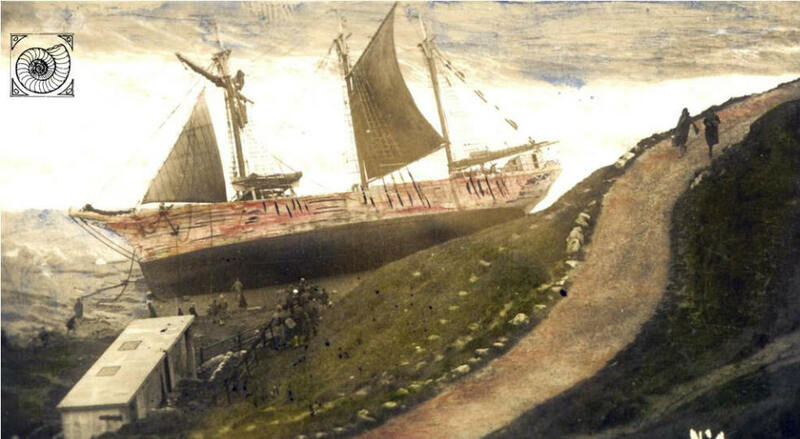 The 16-man Golden Grape owned by four Dutch partners, Wesseilhen Norman, Derrick and Henrick Doomers, and Derrick Peters Redhoost, had sailed from Texel to Dover half laden with general goods ranging from pepper to cordage and ships’ rigging blocks. There the hold was topped up with tallow, more pepper, cordage, blocks and parcels of copper. Four more sailors joined the crew under the command of a new captain, Captain Thomas Redwood, for the final outward voyage to Cadiz. At war with Spain since 1621, the Dutch ship could now masquerade as an English merchant venture and sidestep the Iberian trade blockade. In Spain everything other than the pepper was offloaded, while Spanish and Flemish merchants swiftly filled the Golden Grape with 1,019 barrels of raisins, 396 oil jars for merchants of Le Havre in France and two bags of red wool. Another merchant shipped 234 barrels of raisins for Dover merchants, while a third added a consignment of 12 butts of sherry, eight for merchants of Rouen. Gunner Robert Coast took three pipes of tent (red wine) for his own purposes. So far so good – and above board. But soon out of Cadiz the Golden Grape swerved towards Sanlucar de Barremada, the satellite harbour of Seville, which itself was the homeport of the hugely lucrative American treasure fleet. In exchange for its 200 barrels of pepper, the Golden Grape eagerly received two bags of red wool, 43 bolts of taffeta, two bags of silver plate, a bag filled with 500 gold pistoles (Spanish 2 escudos coins), another bag stuffed with a mixture of pistoles and pieces of eight, and finally a peg and loaf of silver. Having lifted anchor the Dutch fluit was gingerly making its way back up the English Channel towards Le Havre when it grounded on Chesil Beach during a fierce gale on 11 December 1641. Seven of the crew drowned. 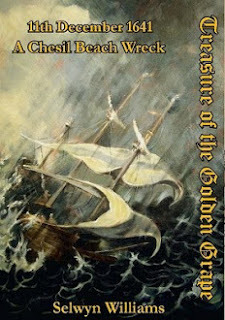 Word of a treasure ship in peril on the pebble beach spread like wildfire. In 1641 a list of South Dorset villages shows that just 147 men aged over 18 lived in Portland, and the majority seem to have had a finger in the Golden Grape pie. As Selwyn Williams explains from the quite extraordinarily detailed proceedings of the High Court of the Admiralty Enquiry held at Melcombe Regis in the Borough of Weymouth between 10 January and 28 March 1642 (all transcribed at the end of his book), 343 witnesses gave depositions to the Court and mentioned another 204 people involved in the scandal. No less than 301 of the witnesses, it turned out, had been on the beach at some time during the four days after the ship grounded – over twice the population of Portland. By the time of the Admiralty Enquiry, a collective amnesia had struck Dorset. But under oath, memories slowly emerged. Arthur Grey, an innkeeper at Wyke Regis, had brought the survivors of the Golden Grape to safety and warmth. However, as his wife, Susannah Grey, testified, at night she removed the bags of treasure from a chest next to the master’s bed and handed them to her husband, who hid them in a place that she could not recall. Back down on the shore, the steersman Cornelius Van Berkham and the boatswain’s mate recovered more gold pistoles in his hat, persuaded the gunner Robert Coast to pocket them and with a wink said “keep these and we will divide them between us”. Yet more gold and silver exchanged hands on multiple occasions in a game of layered concealment that created a climate of deniability. A single young woman called Mary Paine of Melcombe Regis, for instance, ended up with a bag of gold and silver. Thomas Hunt and Thomas Bayly of Wyke Regis salvaged six barrels of raisins and 26 jars of oil. The list of tradesmen who just happened to find themselves on the beach in the days after the grounding of the Golden Grape surpassed the proverbial butcher, the baker and candlestick maker to include a shoemaker, fisherman, sailors, husbandmen, yeomen, masons, a carpenter, a brewer, a thatcher, a weaver, a tailor and a baker. 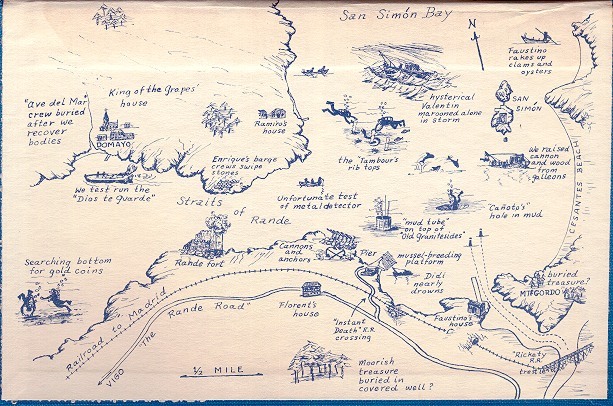 As Selwyn Williams’s sleuthing through obscure sources has demonstrated, it transpires that some booty ended up as far as 7 miles away at Abbotsbury. Some 172 of the ship’s 400 oil jars were salvaged as well as 535 of the 1,253 barrels of raisins. But before the wreckers could clear the hold it would seem that the greatest part of the cargo was lost when the ship broke up. Not content with tracking down the precise spot where the Golden Grape was lost in 1641 opposite Little Bridge Farm, Selwyn also quantifies the salvaged goods taken by village and location. While diving for crab and lobsters off Chesil Beach in 1980, however, following another huge storm that completely eroded the seabed of pebbles, Selwyn linked past and present. At a depth of 15 metres, 100 metres offshore, a 20 metre-wide strip of underlying clay was exposed for at least a mile. For the first time diving these waters in 15 years, anchors were naturally exposed next to the side of an iron ship, a P40 fighter plane wreck lying upside down, and a 6-inch wide silver plate probably lost with the Golden Grape. Since then Selwyn has been hot on the trail of this Dutch ship, following up chance finds and dead ends. 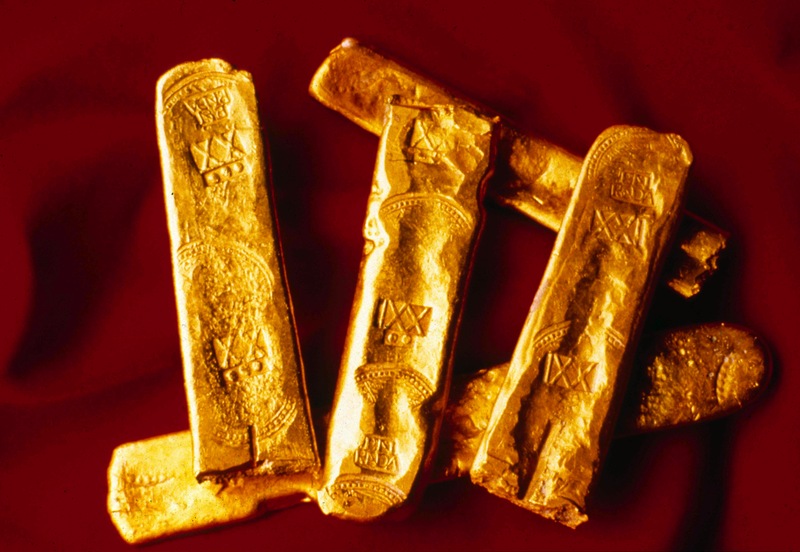 In 1827, during what accounts describe as a “great convulsion of a violent gale of wind from the West”, a large volume of gold and silver bars, silver bowls and spoons came to light. Later reports described how in 1848 a poor man found a large 60-ounce piece of silver on Portland Beach. 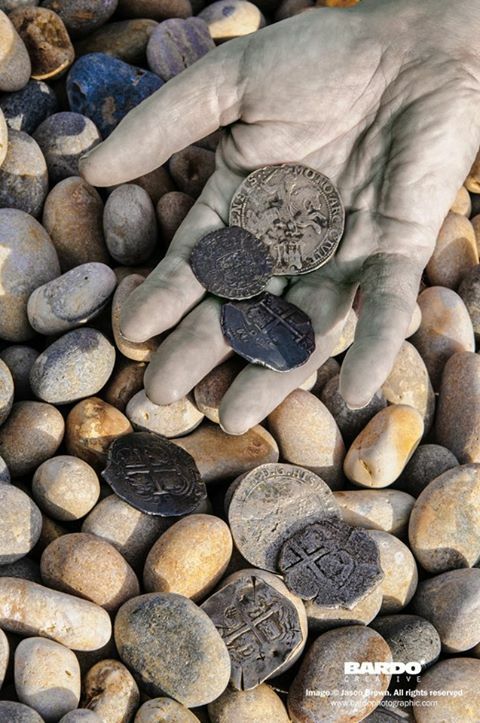 Down the decades silver sporadically washed up on Chesil Beach, including a 37-ounce, 5-inch diameter solid silver ‘pebble’ picked up and sold at Duke’s Auction Rooms in Dorchester that was probably silver smuggled on the Golden Grape. 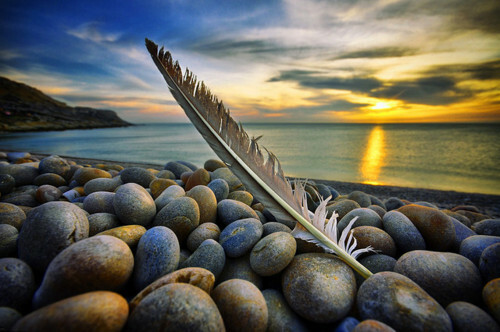 In a twist in local legend, it is said that a duck shooter found it on the beach, which inspired the name Duckey Stone for the ship’s treasures. Seine fishermen also told Selwyn about “brass bars with funny marks” that had been picked up on the beach. A Spanish lustreware plate from Valencia and other ceramic bowls in private collections all probably come from the lost Dutch fluit. Following the contemporary salvage of 1641 and the hunt for silver Duckey Stones over the course of 372 years, you could be forgiven for mistaking the story of the wreck of the Golden Grape as dead and buried. However, in many ways it has just begun. Surely sherds from the indestructible 228 olive jars not salvaged or the two anchors, seven pieces of ordnance, two chambers and eight murderer cannon – if jettisoned – might have left an archaeological footprint somewhere under these inhospitable waters. Last seen, Selwyn Williams and his team from The Shipwreck Project were hot on the trail of the Golden Grape’s hull using side-scan sonar. 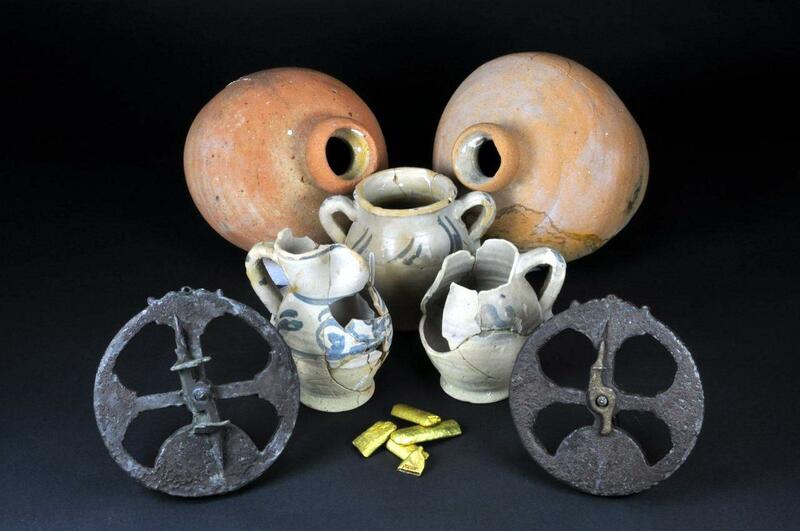 Numerous intriguing targets need following up, as do a whole host of archaeological finds including Roman coins and a Dressel 20 Baetican amphora neck. Meanwhile, Selwyn has produced a carefully researched labour of love that brings back to life one of the most exciting moment’s in Chesil Beach’s life – a physical reality of Dorset that goes far beyond the imagination of poets and novelists. If you lie on Chesil Beach today with your ear towards the sea, you might just hear the echo of the 200 wrecks lost in these waters churning beneath billions of pebbles. But as Selwyn Williams makes clear, the Golden Grape is not just the backstory of local Dorset wreckers, the real world of Daphne du Maurier’s Jamaica Inn, but of an even greater scandal: ingenious attempts by Spanish merchants to hide the gold and silver of the Americas, incoming to Seville, from the hands of the king and to profit from his loss. Before reaching the Casa de Contratación in the capital city of Andalucia, a complex web of ships and wheeler-dealer merchants spirited the king’s gold out of State hands. Ultimately, the Golden Grape is the little known memory of the archaeological world of Spanish contraband trade and the riches that spirited entrepreneurs could make from general goods if they could avoid the pitfalls of privateers and the wrath of God. The Treasure of the Golden Grape is not the end, it is perhaps the beginning. Somewhere out there lie the physical remains of a fabulous tale that not even Hollywood could make up. Don’t bet against Selwyn Williams and his team turning up archaeological gold. 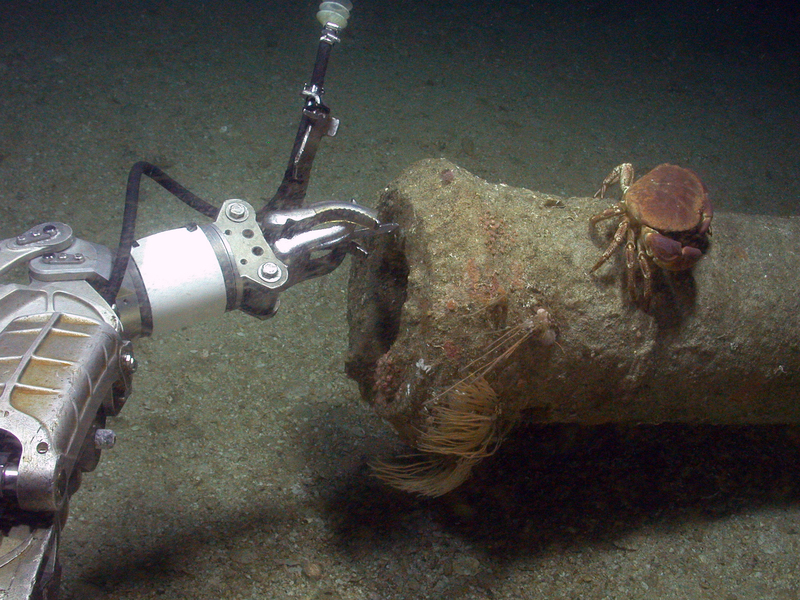 After 1,489 hours of robotic diving and 20 years of research, the results of the world’s first ever deep-sea excavation have docked with the publication of Oceans Odyssey 3. The Deep-Sea Tortugas Shipwreck, Straits of Florida: A Merchant Vessel from Spain’s 1622 Tierra Firme Fleet (Oxbow Books, Oxford, 2013). The Tortugas wreck was found by Seahawk Deep Ocean Technology of Tampa, Florida, in 1989 at a depth of 405m in the Straits of Florida, south of the Dry Tortugas, the southernmost islands of the Florida Keys. Too deep for divers, the exact positions of 16,903 artefacts were recorded and all recovered by the Remotely-Operated Vehicle Merlin, custom-built for the project. 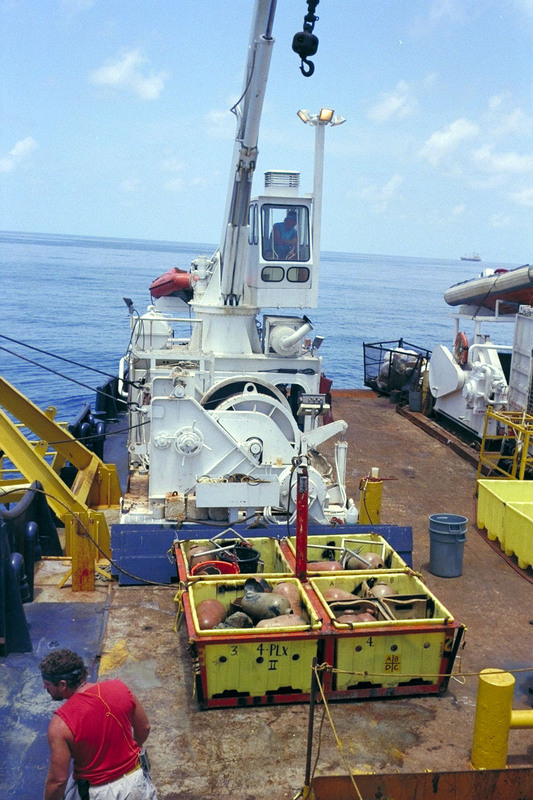 These ground-breaking operations ushered in the birth of a new discipline, deep-sea shipwreck archaeology, for which the core tools of the trade were fine-tuned to enable accurate surveying using a Sonardyne acoustic long baseline positioning system, stratigraphic excavation using a customised suction dredge with integrated sediment removal and filtration (SeRF) system (prototyped from a beer keg), heavy duty lifting with two advanced Schilling manipulators, and delicate artefact recovery based on a limpet suction device innovation. 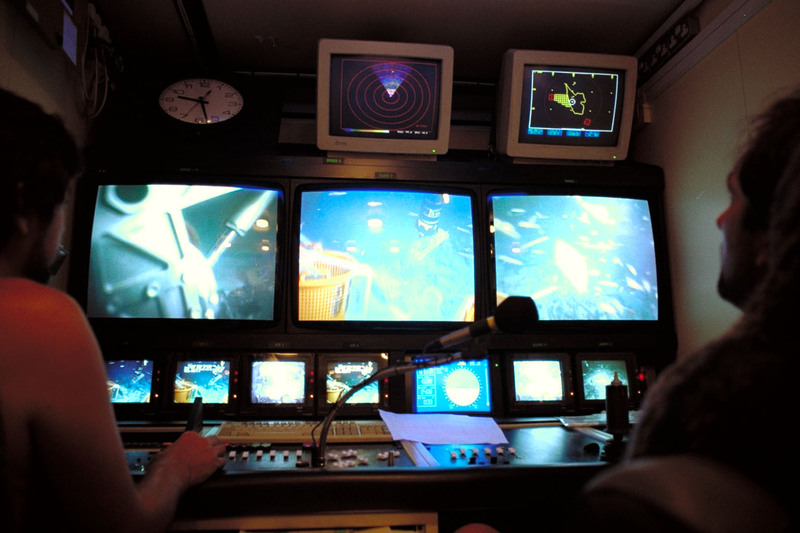 All underwater activities were fully documented by video camera and three still photography cameras. The lost ship has been identified as the Buen Jesús y Nuestra Señora del Rosario, a 117-ton Portuguese-built and Spanish-operated navio owned by Juan de la Torre Ayala. Sailing with the infamous 1622 Tierra Firme fleet returning home to Seville, the Buen Jesús plummeted into the deep 20km offshore in the ferocious hurricane of 5 October that consumed eight ships, including the Atocha and Margarita, sweeping their remains across more than 80km of the Florida Keys. Around 550 people, including 121 priests, drowned. The gold, silver, pearls, indigo, cochineal, tobacco and other products lost on all eight ships were valued at 4,000,000 pesos. The fleet’s loss was a fatal blow for debt-consumed Madrid, suffering 300% inflation since the turn of the 17th century, and its fading Golden Age. Unlike the rest of the fleet, journey’s end for the Tortugas ship was Nueva Cordoba (Cumana) on the Costa de las Perlas in modern Venezuela. A daredevil itinerary took the Buen Jesús to the edge of the Spanish colonies, waters teeming with Dutch and English privateers, for three reasons: pearls, possibly contraband, tobacco and as a sign of Spanish colonial power over the Peal Coast, which had become heavily eroded by the early 17th-century by the Dutch assault on the region’s abundant salt reserves. As a small merchant vessel operating at the opposite spectrum to the great Tierra Firme treasure ships the Atocha and Margarita celebrated off the Florida Keys, the Tortugas shipwreck ultimately provides a rare window into the everyday world of colonial Spain’s trade with the New World at the end of its Golden Age. While the 39 gold bars and 1,184 silver coins represent in part profits from the outwards-shipped sale along the Pearl Coast of wine, olives, hazelnuts, iron goods, women’s shoes and a tapestry depicting the Souls of Purgatory, the 6,639 pearls harvested from the Pinctada imbricate oyster beds are split symbols of luxury and brutality. At the one extreme pearls were Europe’s hottest fashion accessory. Symbolising purity, integrity and wisdom, Venezuelan gems like those shipped on the Buen Jesús featured in resplendent paintings of the period, such as the Armada Portrait of Queen Elizabeth I (1588, by George Gower) and were coveted by King Philip II, Queen Margarita and Lucrezia Borgia alike. 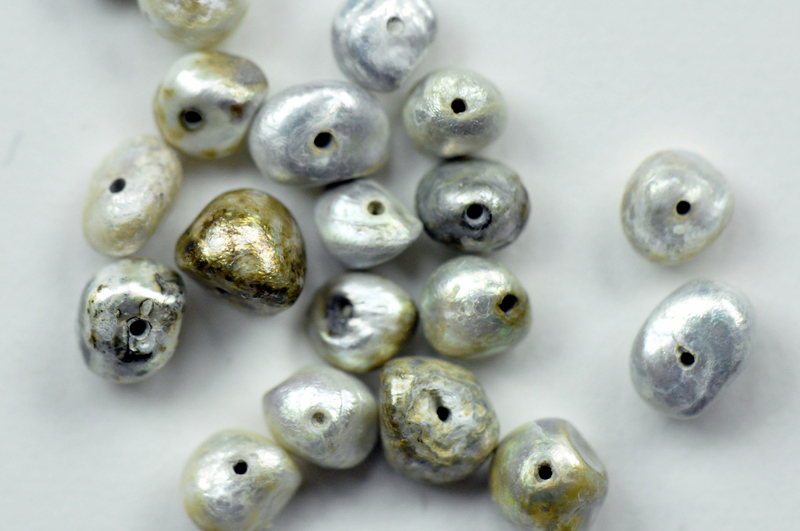 Venezueala’s pearls were fished from the seas under extremely harsh conditions for man and nature: 60,000 divers from the Bahamas, followed by tens of thousands of imported African slaves, were wiped out in what is considered to be the earliest recorded example by Europeans of species overkill causing ecological collapse. At the other end of the spectrum, the Tortugas wreck turned up evidence of an industrious crewman, who idled away the hours cutting lice combs and cases from the shells of hawksbill turtles, Eretmochelys imbricate. A well-appointed shipboard merchant owned an onyx inkwell and an octagonal ivory sundial made in Nuremberg, useless for telling the time in either Seville or the Americas but a sign of high fashion. Most curious of all are two greenstone whetsones and a greenstone labret (tribal lip ornament) that hint at the presence of a Native Indian woman accompanying the ill-fated Tortugas ship. Whether as a slave or dependent is uncertain. Finally, as Mother Nature united well-heeled merchants and slaves in tragedy, the analysis of the animal bones shows that rats ran amock beneath the feet of the ship’s cat, who licked his lips at caged blue-headed parrots. Bones from the latter are the first archaeological evidence from any shipwreck worldwide of the transport of precious birds to Spain from central and northern South America. In an ideal world, perhaps submerged resources like these could rest untouched in the deep from the ravages of man. Idealism is a luxury that science can ill afford. Rumours about the discovery of a ‘Spanish galleon’ off the Tortugas Islands came to light in 1965, when the fishing-boat Trade Winds, trawling for shrimp, snagged its nets and pulled up three intact Spanish olive jars, metal artefacts, and pieces of ship’s rigging and wood. Numerous internationally important Spanish wrecks have been found through the same fishing impacts off Florida, Louisiana and Texas since the lucrative ‘Pink Gold’ shrimp grounds were discovered in the 1960s – with Key West at its epicentre. The pioneering work of Greg Stemm, John Astley, John Morris and Dave Moore on the Tortugas shipwreck using nascent computer coding, deep-sea technology, creativity and a can-do mentality that seems to be vanishing today represents an exciting moment in the history of marine exploration. We hope that the publication of the first of two volumes on this shipwreck, saved from trawlers hunting pink shrimp, demonstrates the potential and necessity of deep-sea projects to save key sites from harm’s way and is a matter to be celebrated. *** Meanwhile, Wreck Watch Int. 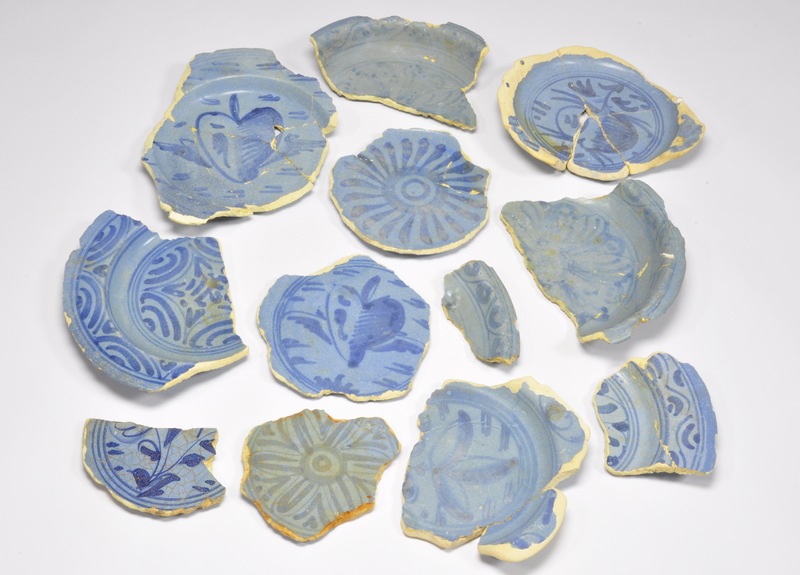 would like to hear from anyone who can suggest parallels to the Tortugas artefacts from archaeological sites and wrecks in Spain, especially for the ceramic tablewares, which were largely manufactured in Triana, Seville. The Tortugas Shipwreck collection is curated by Odyssey Marine Exploration of Tampa, Florida, who have made key artefacts publicly available through its Virtual Museum. 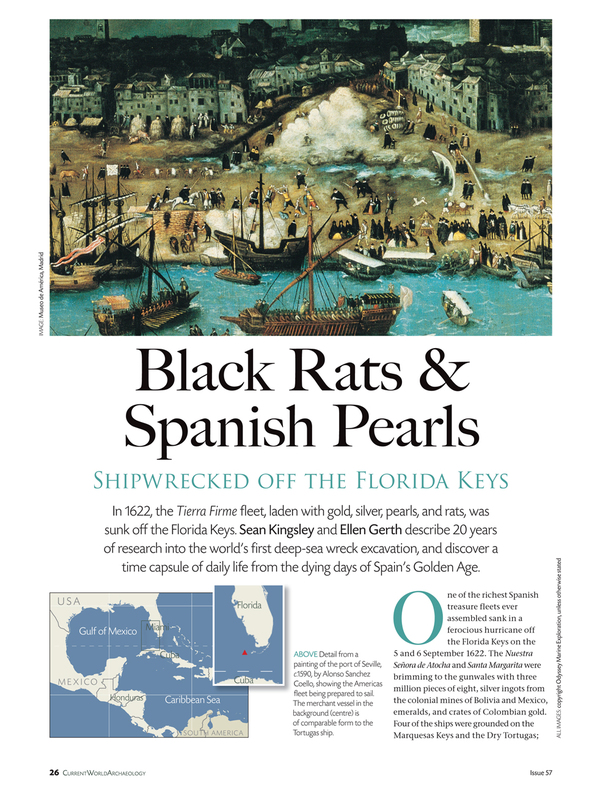 A popular article on the Tortugas shipwreck, ‘Black Rats & Spanish Pearls Shipwrecked off the Florida Keys’ is published in the February/March 2013 issue of Current World Archaeology. 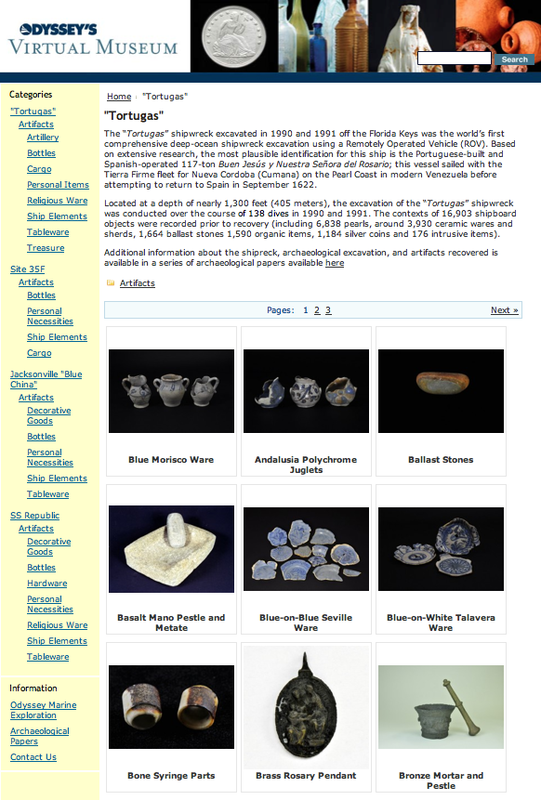 A preliminary scientific study of the ceramics from the Tortugas shipwreck is published in the 2012 issue of Ceramics In America, kindly made publicly available by the Chipstone Foundation. Oceans Odyssey 3. The Deep-Sea Tortugas Shipwreck, Straits of Florida: A Merchant Vessel from Spain’s 1622 Tierra Firme Fleet, edited by Greg Stemm & Sean Kingsley, is available from Oxbow Books in the UK and USA. A new report published by Wreck Watch Int. has identified fishing trawling as the most aggressive threat to the world’s shipwrecks and sunken heritage. 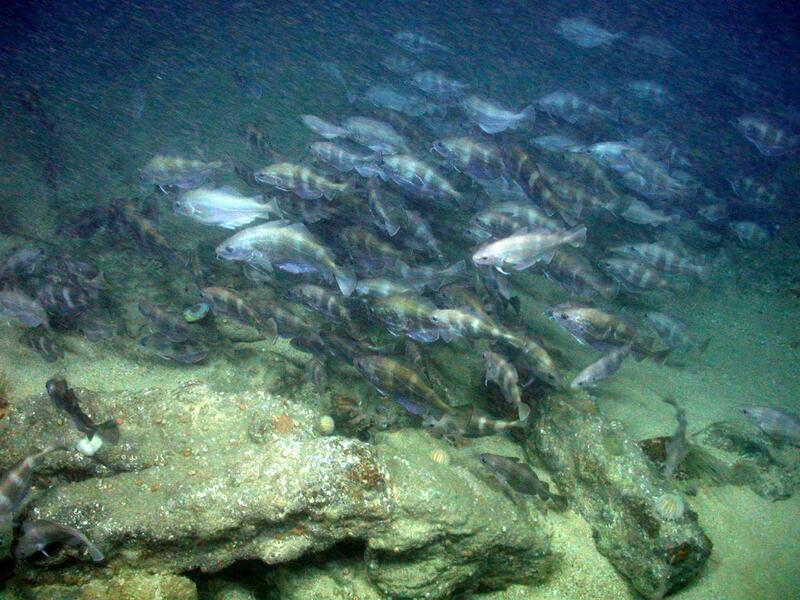 This first worldwide study into the effects of fishing on marine archaeology, based on 68 examples and case studies, has revealed a pan-oceanic trail of cultural destruction that spans the globe from England to the Mediterranean, Florida and the Far East. 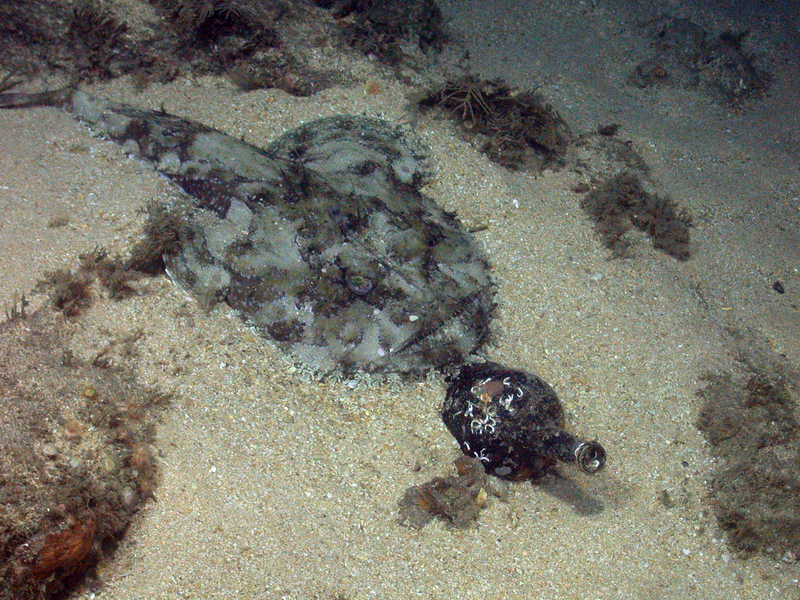 Bottom fishing is one of the most widespread sources of man-made disturbance to seabeds. 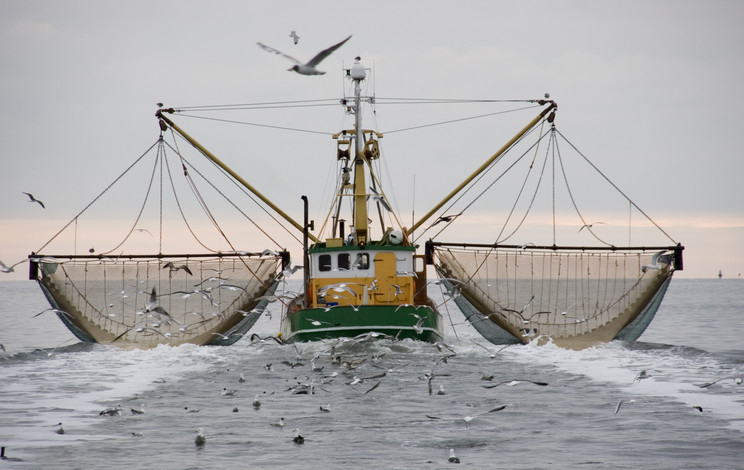 Each year trawlers sweep an area of seabed equivalent in size to half the world’s continental shelves. For these reasons marine ecologists term trawlers ‘bulldozers of the deep’. Underwater cultural heritage has been turning up in fishermen’s nets since 1755, when two to three dozen Roman bowls were snagged each year in oyster dredges off Herne Bay. 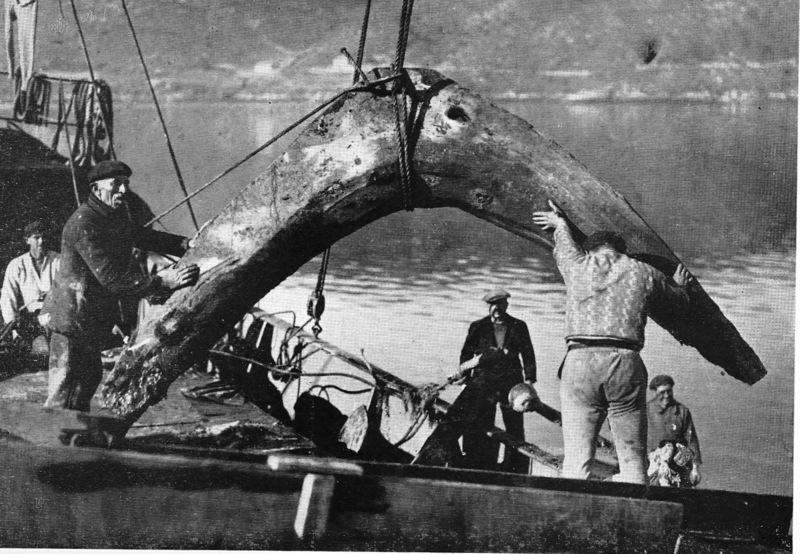 Since then everything imaginable has been hauled up from the deep from a Neolithic dugout canoe off Bulgaria to 18th-century elephant tusks off Brittany, and more than 600 Bronze Age to Crusader amphoras from Turkey and Israel. 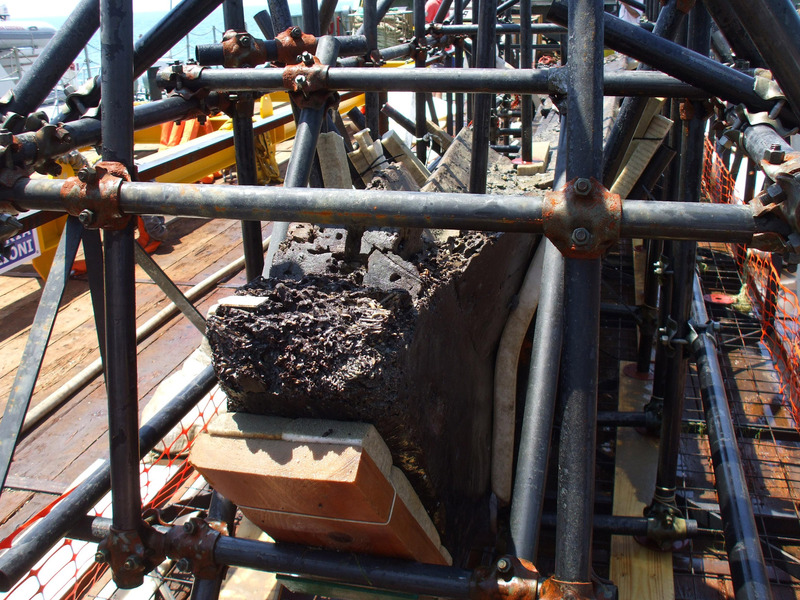 Timbers as large as a 4.05 metre-long keelson and mast step have been ripped up from a ship lost in Denmark’s Wadden Sea in 1264, while shrimpers working in Florida, Louisiana and Texas have cut through 16th to 18th-century Spanish galleons. Further afield, pottery and timbers have been lifted en masse from Chinese junks and a Portuguese merchant vessel off peninsular Malaysia. Chance catches include spectacular finds of museum quality, such as a shower of silver that rained down on the heads of shrimp trawlers working 80 kilometres off Louisiana after they snagged 12,000 coins from the Spanish warship El Cazador. A 4th-century BC ‘Dancing Satyr’ bronze statue masterpiece has been netted from a depth of 500 metres off Sicily, while the J. Paul Getty Museum in Malibu paid $3.95 million for a life-size bronze statue of a Victorious Youth, crafted between 300 and 100 BC, after it turned up in an Italian trawl net in the northern Adriatic Sea. 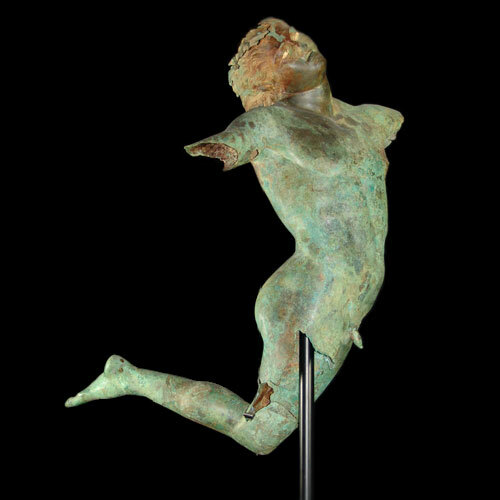 The Dancing Satyr, a 4th-century BC bronze statue snagged in a trawler’s net from 500 metres off Sicily. Whereas marine ecologists have hotly debated ways to protect seabeds from trawling for over four decades, archaeology has failed to confront the problem: an out of sight and out of mind mentality has prevailed as a default position. In the 21st century marine archaeology finds itself rooted where terrestrial archaeology stood in 1882 after Colonel Lane-Fox’s concerns over plough damage to Iron Age Dyke Hills in Dorchester resulted in the creation of Britain’s first Ancient Monuments Act. Wreck Watch Int. argues that exactly like ploughing on land the submerged resource and hopes of investigating well-preserved sites are ever diminishing through trawlers, scallop and fishing dredges pounding the deep. Over-exploited fish populations and marine habitats have the potential to regenerate over time, but underwater cultural heritage is more vulnerable. Once a shipwreck has been struck the damage is permanent. In the space of a few generations, some seas have witnessed the mass wiping of their ancient hard-drives, leaving behind a legacy to future generations of archaeological amnesia. The Wreck Watch Int. report calls for brave decisions to be made to save and protect a small sample of the world’s most important sunken history by a combination of proactive measures – trawler finds amnesties, marine reserves, industry ‘taxation’, and full excavation to remove sites at risk from harm’s way. Out of Sight, Out of Mind? Fishing and Shipwrecked Heritage by Dr. Sean Kingsley is available from Wreck Watch International, London: FishingHeritage-Kingsley. Its results are summarized in a Special Report published in the latest issue of Current World Archaeology. 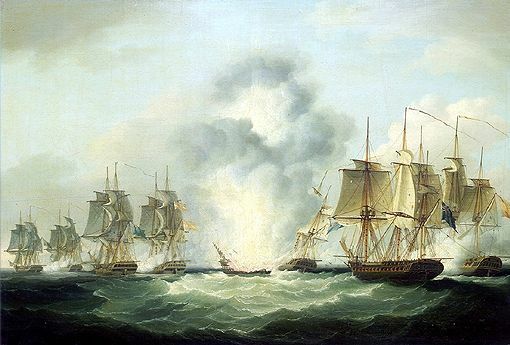 Battle of Cape St. Mary off Portugal, 5 October 1804, which caused the loss of the Mercedes. F. Sartorius, 1807, National Maritime Museum, London. The American poet Ralph Waldo Emerson once said “Truth is the property of no individual but is the treasure of all men.” This phrase has been ringing in my ears of late as the 17 tons of coins from the ‘Black Swan’ shipwreck were readied for their long-distance flight to Europe. I hope the people of Spain enjoy the stories and lessons that the coins symbolize (after the collection is conserved at an estimated cost of at least $12 million), but I can’t help but wonder if the last five years of ugly legal proceedings have left us short changed in the truth department. The most troubling dimension of the case that has warped US law is the hyper-sensitive political issue of sovereign immunity. Simply put, warships on exclusively non-commercial ventures still belong to the flag country that launched them; crossings with a commercial component lose this status. The concept is a very modern legal invention that has nothing to do with concerns over sunken archaeology and heritage, but everything to do with protecting modern naval equipment from downed planes to spaceships, submarines, 20th and 21st-century warships, personnel and weaponry, including nuclear missiles. 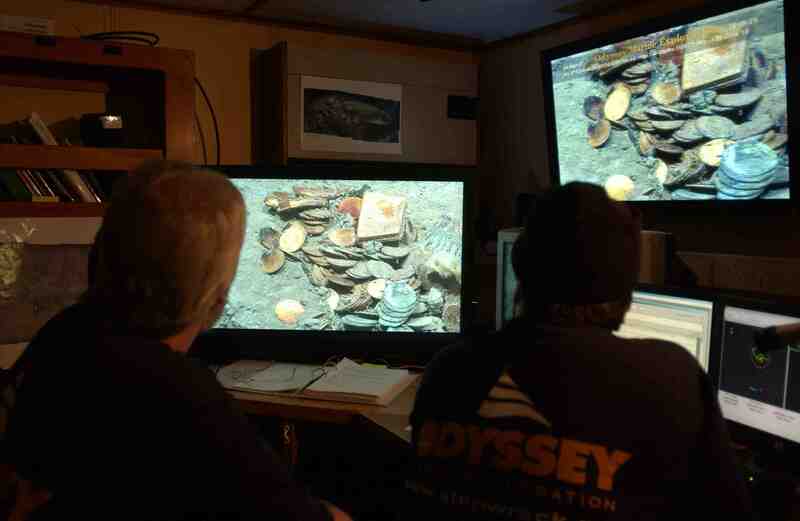 The Odyssey team examines a cluster of silver & gold coins on the ‘Black Swan’ site. Photo: © Odyssey Marine Exploration. The frigate Nuestra Señora de las Mercedes was not carrying a black box, advanced weapons or anything that can be considered a State secret. Why did America’s judicial system and the counsel for Spain bulldoze the core reality that, as Odyssey rightly claimed, the majority of the ‘Black Swan’ silver was simply never State property. This is not even a matter of dispute. Take the word of the Spanish academic Julian de Zulueta, writing in a scholarly journal (‘The Battle of Cape Santa Maria 5 October 1804’, Mariner’s Mirror 96.2, 2010: 200-201): on 20 October 1804, Admiral José de Bustamante y Guerra, Rear-Admiral of the Spanish Navy, reported that over 74% of the coins transported on the Mercedes belonged to private merchants (650,000 silver pesos as opposed to the Crown’s 221,000 pesos). It is a misuse of historical sources to ignore the knowledge of a high-ranking Spanish naval officer who commanded the freight’s shipment. Another twisted truth paraded throughout the Black Swan case is the self-belief that Spain is a long-term guardian of patrimony and knowledge, while Odyssey piratically ransacks the past. These daily accusations have been beyond defamatory and without scientific or historical substance. It is a topsy turvy world when Odyssey burns the midnight oil to publish scores of archaeological papers about shipwrecks of the deep, including the Tortugas shipwreck, a small Spanish merchant vessel lost in 400 metres off the Florida Keys in 1622 and the first ever deep-sea excavation (1990-91), while Spain demonstrates neither the allocation of resources, nor any published results dedicated to shipwrecks. Unlike the cargoes and personal belongings of the more celebrated 1622 treasure ships the Atocha and Margarita, scattered to the four winds beneath the treacherous Florida Keys, the Tortugas ship sank and settled intact. Despite having been battered and bruised by trawlers since the outbreak of ‘pink gold’ fever for shrimp in Key West in 1949, the wreck contained the largest scientifically-excavated collection of olive jars, tablewares, pearls, animal bones, astrolabes, seeds, and small finds from the end of the Golden Age of Spanish trade with the Americas. The Tortugas shipwreck was considered so interesting that following its excavation the Spanish government requested Greg Stemm’s assistance for the Seville World Fair of 1992 because the city lacked locally discovered galleon artefacts for display. Stemm and his team happily loaned olive jars, pottery, coins and other valuable artefacts, even paying for the assembly of an exhibit in good faith. But when the fair finished and Stemm asked to collect the artefacts, the Spanish government announced that the fair’s security company had taken the collection because they had not been paid. No compensation or apology was ever forthcoming. While Odyssey quietly focuses on respecting science, it has been Spain that has publicly licked its lips at the financial value of its sunken past as the Spanish press regale its readership with promises of fantastic galleons lost off its shores. 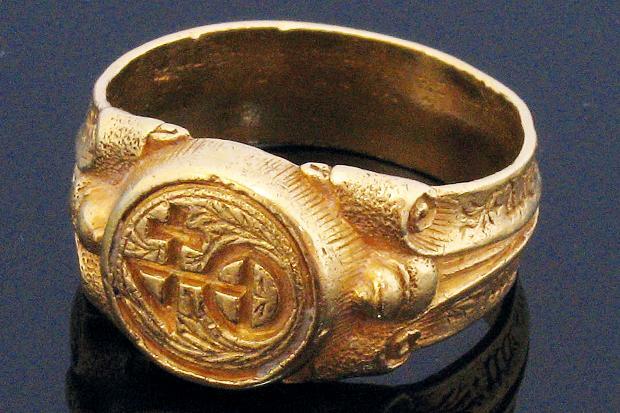 Between 1,500 and 1,800 treasure-laden shipwrecks are said to lie in the country’s territorial waters, and its newspapers have waxed lyrical about the 7.3 million ducats on the San Ignacio, 12,000 kilograms of minted gold, 5,000 kilograms of silver ingots and three chests of emeralds aboard the ill-fated Nuestra Señora del Juncal, and 580,000 gold coins allegedly lost on the Nuestra Señora de la Concepción, without any mention of what their pottery or hulls may contribute to education and science. 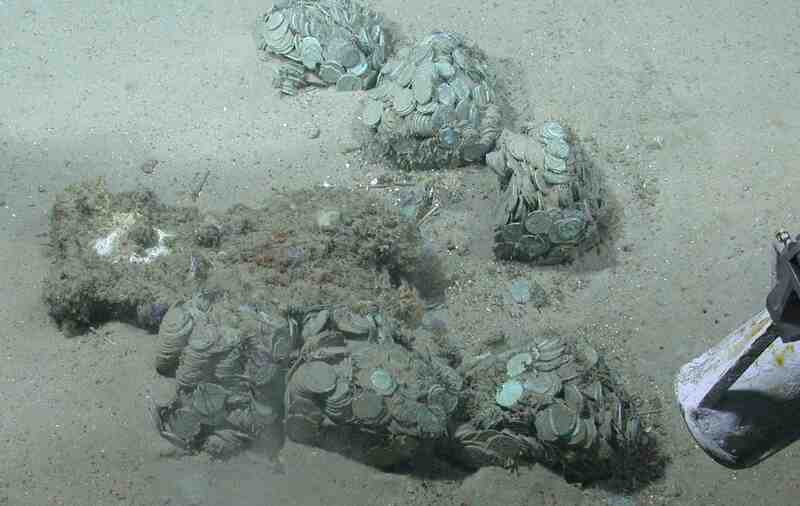 Spanish magazine and press reports cite local scholars as promising that more than €100,000 million of treasure is submerged in the Bay of Cadiz alone and €160,000 million in all national waters (Andalucia Informacion, 4 September 2010). One of hundreds of silver coin concretions on the ‘Black Swan’ site. Photo: © Odyssey Marine Exploration. Juan Manuel Gracia, President of the Association for the Recovery of Spanish Galleons, has gone on the record to say that there is “more gold in the Gulf of Cadiz than in the Bank of Spain” (20 Minutos, 3 October 2011). Equally oddly, Spanish naval sources stress that the country’s debt equals around 10% of the nation’s GDP (about €100,000 million), or less than lies neglected beneath the waves, and have called its sunken gold a “lifesaving miracle to cling to” (Revista Atenea, magazine of the Spanish Navy/Security Forces, 17 June 2009). Meanwhile, Javier Noriega, Director of Nerea Arqueología Subacuática, has dramatically suggested that for decades Odyssey has “been given permissions for pseudo-scientific missions when all they come for is for the gold and silver of the Spanish”, while “Spain has been the main victim and target during the 20th century. They [treasure hunters] have destroyed sites of extraordinary wealth”. Does this stand up to scientific scrutiny? Emotional fervour may win political points in pockets of Madrid and Andalusia, but the hyperbole is not supported by my own unrestricted access to Odyssey’s archives. As far back as 1989 Greg Stemm and his team created an electronic recording grid on the 400 metre-deep Tortugas Spanish navio of 1622, a limpet suction device to delicately recover artefacts and a sieve system to safely extract key collections of animal bones and seeds. The exact positions of 16,903 artefacts were plotted, a feat unmatched by Spain in its own shallow-water research and publications. Similarly, the vast photomosaic plotting the exact positions of hundreds of clumps of coins, 286 copper ingots, 481 four-handled tin ingots, cannon and small finds across an area of 252 x 110 metres on the ‘Black Swan’ site is the most extensive scientific record of the kind produced in marine archaeology. Spain, meanwhile, is yet to publish one colonial-period galleon. If you want to study the archaeology of Spanish trade with the Americas, it is to Florida, Texas, Louisiana and Bermuda that you must turn. Nevertheless, it has taken the mirage of foreign ‘treasure hunters’ pillaging Spanish waters to stir politicians into action to care for a heritage that has been in trouble for more than 40 years. As early as 1970 Peter Throckmorton warned in Shipwrecks and Archaeology. The Unharvested Sea (London, 1970: 217) that “It is probably safe to say that there are no visible wrecks on the Spanish, French, or Italian coasts under less than one hundred and fifty feet of water which have not been looted and fairly well destroyed.” Pretending that Spain has successfully managed its local underwater patrimony long-term is inaccurate. Spain’s Green Paper. A National Plan for the Protection of Underwater Cultural Heritage (2009). 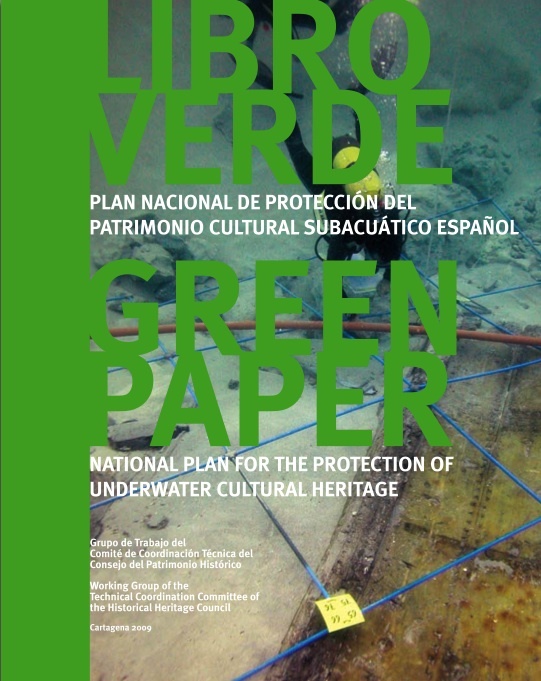 Madrid’s answer to the problem, the 2009 Green Paper: A National Plan for the Protection of Underwater Cultural Heritage, reads like a political manifesto rather than a blueprint to map and protect Spain’s sunken heritage. Even the local press has criticized it as “a laudable theoretical exercise” that “violates common sense in a country besieged by crisis, cut backs and State debt” (ABC De Sevilla, 16 June 2010). Karl Marx’s once tellingly commented that history repeats itself, first as tragedy, second as farce. This moral observation reminds me of Spain’s crusade to see its warships legally recognized as sovereign immune. The profound tragedy was the loss of lives caused by the ships’ sinking that nobody should forget, the “farce” the notion that the world’s nations retain a legal entitlement to the content of historical warships by all practical senses abandoned in far-flung lands – carrying cargoes that were wrested from subjugated natives at the tip of a sword and that never even reached the country that now claims them. As much as the American counsel for Spain has sugared the pill, history leaves no shadow of doubt that throughout the last 350 years Madrid has shown little cultural interest in its abandoned shipwrecks. In actuality Spain has harnessed the best technologies available to return monetary contents to the stream of commerce. Spanish overlords obliterated the oyster beds of Venezuela in the first two decades of the 16th century (history’s first documented case of unsustainable natural resource depletion by Europeans in the American continent), and in so doing stripped the Bahamas of its 60,000 population of Lucayan Indians as diving slaves. The enslaved divers, dredging and salvage equipment invented to mechanize the harvesting of pearls were later relocated to the wrecked warships the Atocha and Margarita sunk off the Florida Keys in September 1622. Battle of Vigo Bay, 23 October 1702, by G. de Clerq, 1899. Even though the 1620s recovery of treasure from these ships was technically salvage at the time, Spain has followed the same philosophy aimed at maximum monetary extraction into the modern era. The exploitation of warships sunk in Vigo Bay in northwest Spain is a case in point. 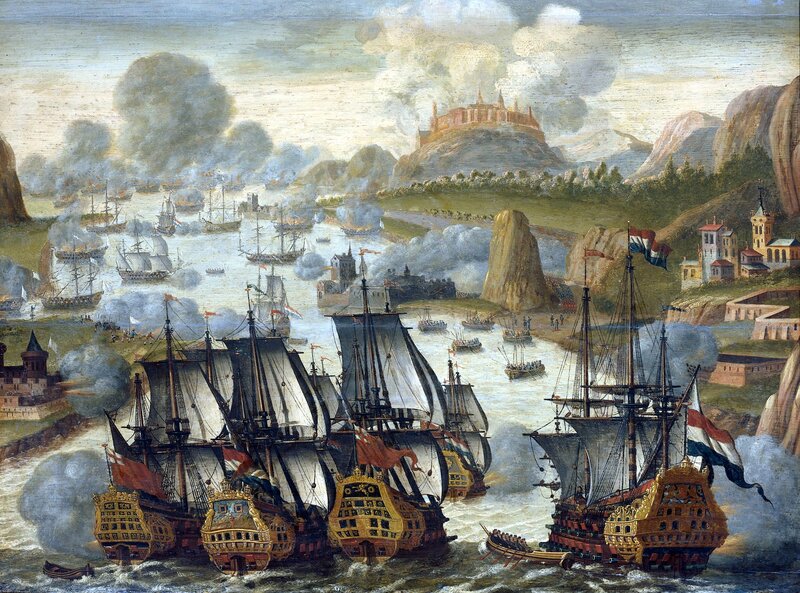 The Battle of Vigo Bay of 23-24 October 1702 was a catastrophe for all involved. France’s 15 men-of-war, two frigates and one fireship were all sunk or captured. Of the three galleons and 13 trading vessels in the Spanish fleet, all were destroyed except for five seized as prizes by English and Dutch allies. About 2,000 Spanish and French people lost their lives, while the English and Dutch dead reached 800, making this battle site a real maritime cemetery. The Spanish galleons had just arrived from America laden with treasure amounting to a suggested 126,470,600 pieces of eight, excluding contraband and the rest of the cargo value. The London Gazette called the Vigo galleons the “richest flota that ever came into Europe”. The loss of the Comercio of Cadiz alone was said to be worth eight million pieces of eight and in total an estimated 113,396,085 pieces of eight are said to have sunk. Like the Nuestra Señora de las Mercedes blown up in 1804, the vast majority of the cargo was private property, in this case owned by Cadiz merchants and traders from England, France, Holland and other European countries for whom they acted as agents. Down the centuries Spain consistently encouraged private enterprise in Vigo Bay. From 1723-48 no less than 17 concessions were granted by Spain to salvors using everything from drags to diving bells. Chests of silver were recovered in 1728, and in 1825 an English expedition found silver plate bearing the arms of Spain and the date 1691, cannon, bombs, artistic and precious objects, coins and ingots. The government readily took its 80% cut. 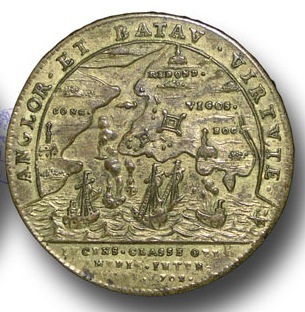 British warships blocking the harbour of Vigo Bay, 1702; silver medal of Queen Anne (1702-27). The open embrace to foreign salvage continued in 1869, when the valuable articles found by the French engineer M. Bazin included a massive turtle crafted of native silver, as well as wood, guns and silver plate. In 1885 the Philadelphia based Vigo Bay Treasure Company lifted a hull, which broke up because it was insufficiently strengthened. Spain considered such cultural devastation to be an acceptable casualty of profit. In 1904 Carlos Iberti travelled to Madrid and obtained a permit from the Spanish Government to search Vigo Bay using Giuseppe Pino’s famous submarine. Spain bent over backwards to support his commercial scheme in an age when archaeology and awareness of heritage were advanced. As Iberti wrote, “In Madrid valuable friends awaited me at every step: Cabinet Ministers, Under-Secretaries of State, Members of Parliament, Generals and Admirals all took the deepest interest in the enterprise, and vied with each other in offering me their powerful aid… In three months my negotiations with the Government of His Majesty Alphonso III brought me a Royal Decree, which, sanctioned by the Council of Ministers, bears the signature of his Excellency General Don José Ferrandiz, the present Naval Minister… I return to Italy, full of dreams…” Spain even dispatched its finest destroyer, the Clemente, to assist the Italian’s commercial venture. 1924 Italian expedition raising a galleon keelson from Vigo Bay. From Treasure Divers of Vigo Bay by John S. Potter (New York, 1958). The arc of Spain’s eagerness to salvage since 1622 off the Florida Keys prevailed in Vigo Bay into the mid-20th century. Italian teams continued operations under the direction of Iberti, Count George Khevenhüller of Austria and the engineer Enrique Venturini in 1924, when they dredged the sunken fleet using a half-ton grab bucket suspended from a boom, which bit vast holes through the mud down to the ballast of every buried wreck. What is variably described as the 23-foot bowsprit or rudder assembly of the Almirante was lifted. Just before World War II a Dutch team brought a diving bell to Vigo Bay fitted with dredging equipment mounted on its open lower end, salvaged for 18 months, charted the positions of over 20 wrecks and raised tons of ships’ frames and planks. Several tons of hull were lifted from the Canoto in 1939. 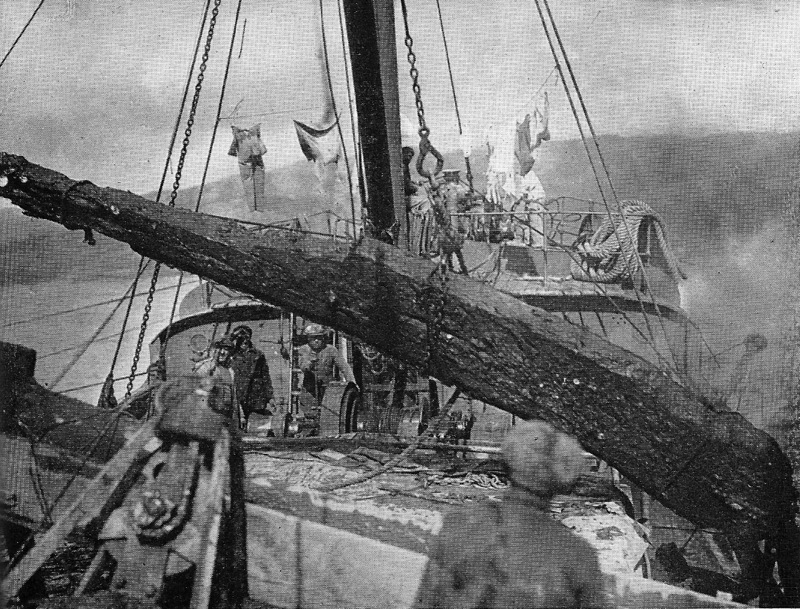 1924 Italian expedition raising part of a ‘galleon’s prow’ from Vigo Bay (more probably a floor timber). From Treasure Divers of Vigo Bay by John S. Potter (New York, 1958). Spain’s commercial salvage of the Vigo Bay treasure ships continued as late as 1955, when John Potter received a three-year concession from the Ministry of Marine under the following conditions: “The Spanish State will be entitled to the entire property of all that is salvaged, paying to the concessionary, in Spanish national currency, a 50 per 100 of its value while the extracted goods do not exceed one million pesetas and a 40 per 100 of such as exceed said amount… The Spanish State, however, reserves the rights to disclaim in favor of the concessionary… the property of such objects that are not considered worthy of conservation, without having to pay any price for the extraction thereof.” Irrespective of whether great riches truly ever ended up on the bottom of Vigo Bay in 1702, Spain’s subsequent 253 years of commercial salvage must go down as history’s most extensive continuous attempt by any nation to recover ‘treasure’. Map of Spanish galleons in Vigo Bay. From Treasure Divers of Vigo Bay by John S. Potter (New York, 1958). In declaring the Black Swan silver Spanish patrimony, the US Court has trampled into the ground a field of well-planted precedents. As recently as 1965 the Marquis de Morry del Val, Spanish Ambassador to the United States, admitted by letter quite candidly in relation to the newly discovered 1715 Plate Fleet off Florida that Spain had lost its claim to the treasure when it abandoned all efforts at recovery. The USA’s subsequent legal declaration of the Atocha and Margarita as Fisher property should serve as a clear precedent favouring the salvor (as it has for the past 2,500 years) in the ‘Black Swan’ case, a conclusion made even easier by this site’s location in international waters. Fidel Castro’s galleon hunting company Carisub has salvaged numerous Spanish warships and merchant vessels off Cuba (over 100 colonial wrecks according to press reports). Again Spain turned a blind eye. A Carisub diver examining a cannon on a Spanish galleon wreck off Cuba. Photo: © Arne Hodalic/CORBIS. Madrid’s disinterest in its numerous shipwrecks discovered by divers and salvage teams – commercial and military –is a telling indication of the country’s acceptance of abandonment as a practical precedent. Lost 80 kilometres south of Louisiana en route from Vera Cruz and New Orleans in 1784 with 450,000 pesos, for instance the 5.5 tons of coins recovered from the wreck of the Spanish brig of war El Cazador were awarded to the finder with no Spanish challenge. In this light, Spain’s crusade against Odyssey bears all the hallmarks of lashing out at a political scapegoat, using the threat of potential loss of sovereign immunity over modern warships, submarines, sailors, soldiers and downed nukes to twist the USA’s arm behind its back. 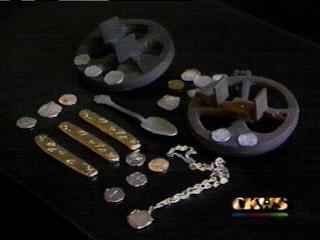 Gold bars, silver coins and astrolabes recovered by Carisub from a Spanish galleon wreck off Cuba. My personal view is that the former Spanish government’s disproportionate pursuit of previously unknown and inaccessible underwater cultural heritage, symbolized by the ‘Black Swan’ case, has been triggered not by passion for the past but by residual historical insecurities over loss of empire. This is a great shame. Spain is a country with dazzling history, immense culture, noble traditions and wonderful underwater archaeology needing study. Despite all the silly talk of the financial value of lost galleons, in truth the wrecks in the Gulf of Cadiz (also related to the Battle of Trafalgar of 1805) and lost in Vigo Bay in 1702 are largely so deeply buried under centuries of mud swept down from rivers that actually for once they really can be preserved in situ. As the 400 metre-deep Tortugas shipwreck shows, not to mention the promise of the ‘Black Swan’ site, greater potential for Spanish underwater archaeology lies far offshore. Chest of silver coins from the Spanish brig of war El Cazador, lost off Louisiana in 1784. For the past two decades Odyssey has endlessly reached out to Spain to collaborate in the study of heritage sunk beyond its territorial waters. If Madrid had agreed, then large swathes of Spain’s seas could have been mapped by now in the same way that Odyssey recorded 267 wrecks in 2005-08 across 4,725 square nautical miles of the western English Channel and Western Approaches for much less than Spain has spent pursuing the ‘Black Swan’ case through the Courts. 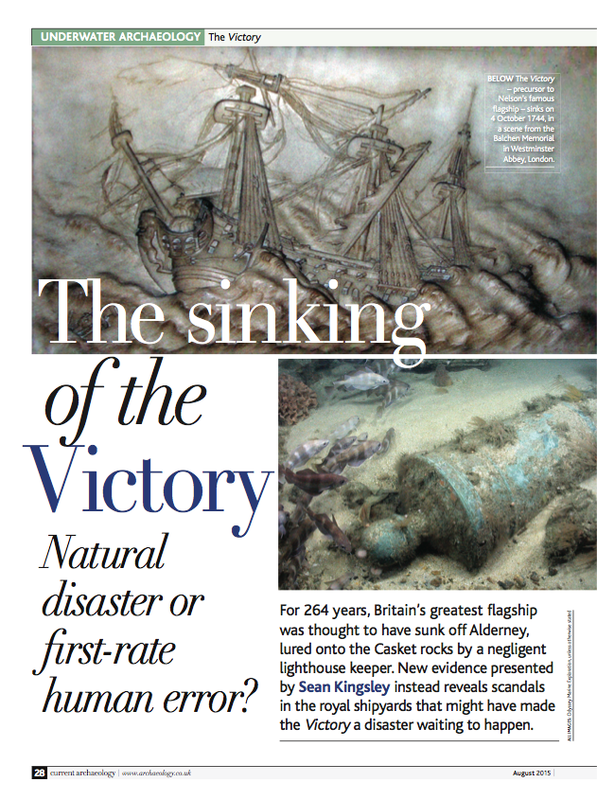 Not one artefact from these English Channel wrecks has been sold, but Odyssey has contributed significantly to the archaeological record through their publications. Perhaps with a change of government it is an opportune time for common sense to surface and for some Spanish officialdom to stop tilting at windmills and look to the future. 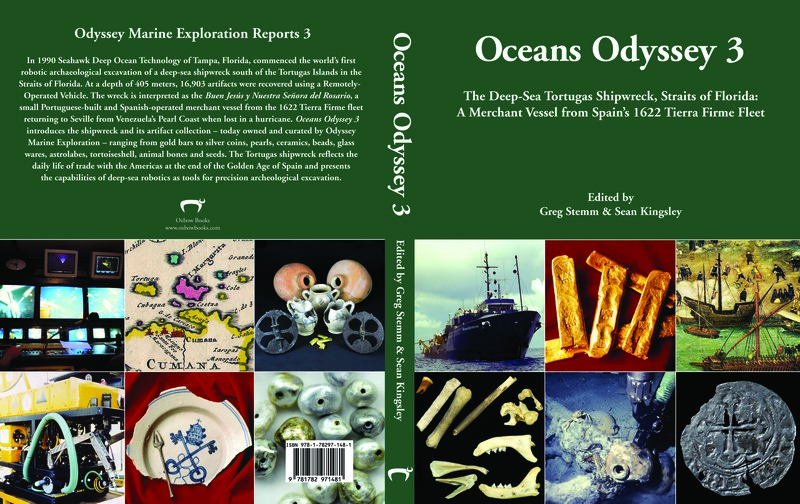 Odyssey in the meantime will continue to respect sunken Spanish heritage, this year publishing a range of scientific reports on the 1622 Tortugas wreck, its ceramics, animal bones, beads, pearls, hull and ballast. Bronze cannon from the Spanish brig of war El Cazador, lost off Louisiana in 1784. Plans are also afoot to publish a report on the Black Swan site, which despite scaremongering was respectfully recorded. Here lies the greatest irony of the Black Swan tale. Divorced from its archaeological context, the silver coin hoard from the Mercedes is comparatively meaningless: these coin types are hardly unknown. The silver may now have landed in Spain, but thanks to the company’s scientific documentation of this wreck site Odyssey possesses the true treasure – knowledge that it plans to share with the world’s scientists and society. Not once in the last five years of relentlessly pursuing the ‘Black Swan’ silver has Spain and its American legal team requested a duplicate archive of the project science to try and really understand this shipwreck. Led by its US counsel and dogma, Spain has shown more interest in treasure than truth. UNESCO - To Dig Or Not to Dig? The question of to dig or not to dig has deeply divided marine archaeology over the last decade. In a hyper-urbanized world, whose seas increasingly reveal shipwrecked wonders, is it nobler to look and not touch, preserving what exists for future generations in an eco-friendly bubble? Or does society have an obligation to excavate, study and publish to expand the sum of finite human knowledge scattered across the seven seas? Since UNESCO’s Convention on the Protection of the Underwater Cultural Heritage was adopted in 2001, the concept of in situ preservation has taken centre stage in the theatre of marine archaeology from high government departments to the living rooms of bemused weekend wreck divers. Today the idea has morphed into arguably the most politicized and controversial Frankenstein in the history of underwater archaeology. The producers of the Convention play are naturally familiar with their script, but the cast seems to have been left scratching its head. At many levels of university life, heritage management, and especially amongst the grass roots of the global shipwreck diving community, managerial confusion reigns supreme. Numerous international conferences and meetings convened and attended over the last decade by heritage managers, contract archaeologists and commercial archaeologists leave no doubt that the core sense of in situ preservation has been lost in translation. It was specifically to help ‘unmuddy’ these waters that Wreck Watch initiated a questionnaire in August 2011 to explore the meaning and reception of this principle, especially to inform practitioners at the grass roots level. 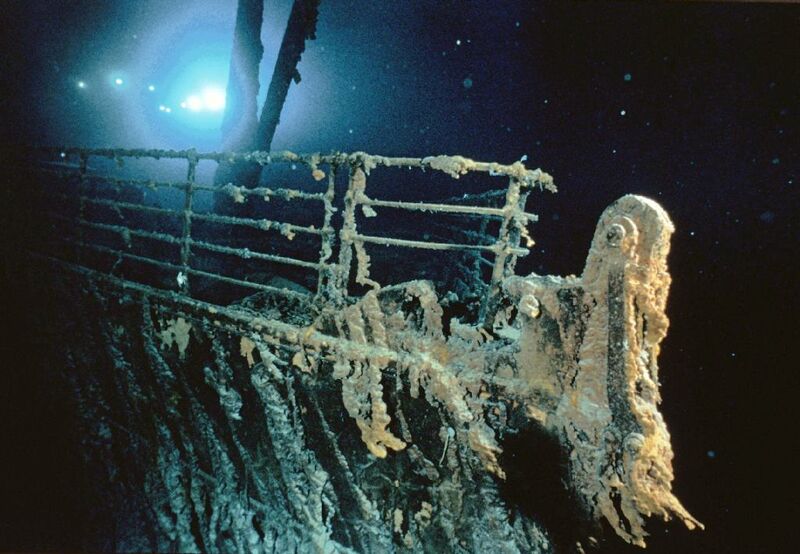 Titanic - Dive & Study or Leave & Memorialize? 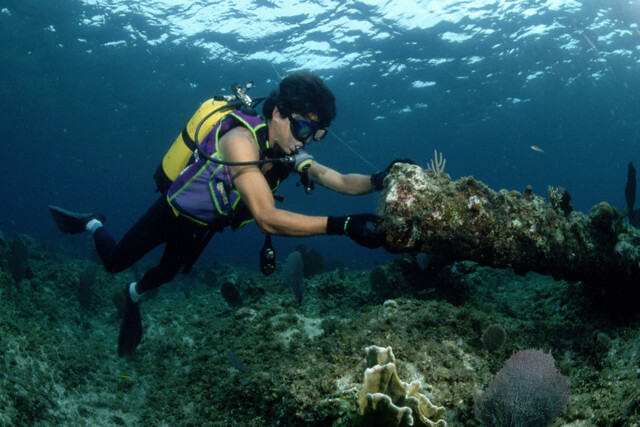 The 2001 UNESCO Convention was originally drafted to combat ‘treasure hunting’, which was considered by a powerful union of bureaucrats and heritage managers to be the major destroyer of underwater cultural heritage. Certainly, there is no doubt that some projects, epitomized by the salvage of 350,000 artefacts from the Tek Sing (lost 1822), grossly neglected the value of contextual archaeology. 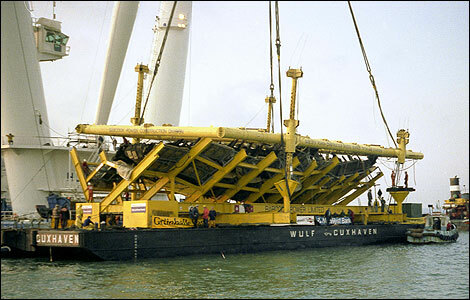 UNESCO rightly raises similar concerns over the Geldermalsen (wrecked near Singapore in 1752) and the Titanic. To its credit the Convention has increased public awareness about the ethical indecency of plundering wrecks. Truth be told, however, treasure hunting was already far down the road to extinction by 2001 as self-imposed enlightenment led to the emergence of commercial marine archaeology, which in cases displays impressive skills of project planning, site recording, publication, fundraising, public education and media outreach. 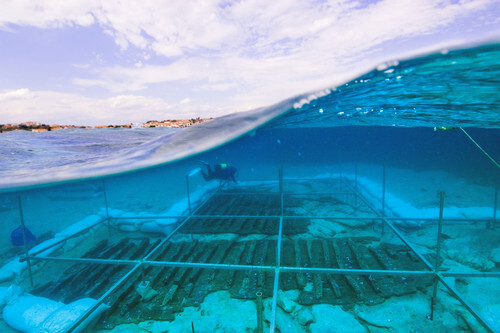 Designed to exterminate a fading threat, in situ preservation was instead reinvented as a broader tool to protect underwater cultural heritage at risk from a host of threats and ill-conceived excavation. Custodians who had successfully cared for the submerged past for decades now found themselves on the wrong side of the law as in situ preservation was heralded in government circles as the preferred and ideal option. At a session focused on ‘In Situ Preservation’ at the Institute of Archaeologists’ annual conference at Southport, England, in April 2010, in situ was described in separate talks by two university professors as UNESCO’s preferred approach (which Ulrike Guérin dispelled at the event as inaccurate). Widespread confusion and trepidation peppered the conference on maritime archaeology convened at the Asian Civilizations Museum, Singapore, in June 2011 alongside serious concern that in situ clashes with much of Southeast Asia’s chosen governmental modus operandi. Titanic Cash: Education or Plunder? And in the recent Ministry of Defence and Department of Culture, Media and Sport response to the public consultation over the fate of HMS Victory (1744) the idea of in situ “was in the main favoured by archaeological bodies, many of whom pointed out that in situ management of historic wreck sites was the preferred option of the guidelines set out in the Annex to the 2001 UNESCO Convention for the protection of the Underwater Cultural Heritage”. An arc of continuity links this document with the Burlington House seminar on the UNESCO Convention held in London in October 2005 by the Joint Nautical Archaeology Policy Committee, the Society of Antiquaries of London, the Nautical Archaeology Society, the Council for British Archaeology and the UNESCO UK Committee, where one prominent speaker stated that the 2001 Convention provides for “conservation & maintenance of archaeological heritage, preferably in situ”, accurately reflecting the tone of the assembly. Stirling Castle, 1703: Are Annual Multibeam Surveys Good In situ Preservation or Managed Neglect? © Wessex Archaeology, 2009. As a consequence, reference to and recommendation of in situ preservation was conspicuously dropped from the resultant Penn-Brock Statement, which instead loosely stipulated that “Archaeological research plans should set preservation and the advancement of knowledge as their primary objective”. In my view the perceived tension between excavation and in situ preservation strongly underlay the formulation of the Penn-Brock Statement, in tandem with growing concern that the UNESCO Convention has been disproportionately directed by bureaucrats and lawyers, instead of by the protagonists of underwater archaeology. Many maritime stakeholders are deeply worried that their interests are being ignored by governmental heritage bodies to paper over cracks in State managerial and budgetary failings. In the case of the Stirling Castle, a Royal Navy warship lost off southern England’s Goodwin Sands in the great storm of 1703, and the best preserved pre-modern hull in UK territorial waters, long-term licencee Robert Peacock fears that UK heritage departments are hiding behind the UNESCO Convention (‘Management of Neglect’, Advisory Committee on Historic Wreck Sites. Annual Report 2008, 16-17). While deeply buried sites can be managed in situ off the UK, in the case of the Stirling Castle he has found through annual monitoring “that by adopting in-situ preservation the site has been left to be physically destroyed by the elements over the last 10 years with no protection. If this is how we are to manage our protected sites (which I can accept) then we must consider changing the wording from “preservation” (which it is clearly not) to “staged and managed neglect”. Comparable strong opinions span the cross-section between grass-roots avocational wreck divers and university lecturers. Uncertainty about how UNESCO intends in situ preservation to be interpreted lay at the heart of the 2011 Wreck Watch questionnaire, which was submitted to marine archaeologists/archaeological divers who have managed an underwater project or served as a supervisor on such a project; to university personnel who teach/support marine archaeology; heritage personnel (museums, charitable bodies, independent organizations) involved in management issues and policy in marine archaeology; and specialists involved in the study of artefacts derived from underwater cultural heritage (eg. conservators, ceramic/hull analysts). From the total respondents, 57% felt that as an overall fundamental management policy the application of in situ preservation to underwater cultural heritage is a positive strategy. A further 46% felt that it was not. Rated between 1 and 10 (1 negative and ten positive), the impact of in situ preservation as a management tool received a current operational credibility rating of 54%. Disagreement existed concerning whom this management tool is aimed at, with 63% of respondents answering that it was applicable to all stakeholders (contract archaeologists, commercial archaeologists and university projects). The remaining respondents provided multiple replies in which 25% indicated that the policy was not intended for contract archaeologists, 17% felt that it was not relevant to commercial archaeology and 21% excluded university projects as within its remit. A cross-section of all respondents’ comments is presented at the end of this article. The Wreck Watch questionnaire reveals that despite more than ten years having passed since the UNESCO Convention was adopted, both signatories and countries which have chosen totemically to adhere to its Annex (without having ratified the Convention) have failed to disseminate the correct meaning of in situ preservation as a managerial tool as understood by UNESCO. The reasons for this omission are best left to the various national stakeholders to enquire of their UNESCO representatives. Gela Ship, Sicily, 5th Century BC. Late Roman Wreck at Pakoštane, Croatia. © P. Groscaux/UNESCO. More recently, Craig Forrest agreed in International Law and the Protection of Cultural Heritage (London, 2010: 341-2) that “The principle of in situ preservation does not therefore mean that underwater cultural heritage is never recovered, only that it is recovered for a sound reason, and only after pre-disturbance archaeological investigation has been undertaken”, specified as protection from site looting, if wrecks/artifacts are exposed by, and at risk from, a storm or due to natural environmental conditions. All of these sources readily accessible within scholarly literature expose the current climate of fear swirling around shipwreck management to be either a case of utter misunderstanding or conscious scaremongering. Nevertheless, it has taken UNESCO itself a decade to publish its explanatory Underwater Cultural Heritage and the Rules of the UNESCO 2001 Convention: a Manual (Th. Maarleveld, U. Guérin and B. Egger, eds., UNESCO, 2011), which categorically leaves no room for posturing or politicizing in the future. The Mary Rose: Never Again or Positive Education? The manual’s final commentary encourages, yet cautions, that “In exceptional cases, a very good research design, addressing pertinent research questions, can be reason enough to sacrifice a stable site through excavation. However, it is certainly not the first option, and needs to meet the maximum requirements of state-of-the-art archaeological projects.” Underwater Cultural Heritage and the Rules of the UNESCO 2001 Convention: a Manual is published online in ‘Tutorial on the Rules Concerning Activities Directed at Underwater Cultural Heritage’. For a greater understanding of what in situ preservation means and involves, see the important results of the questionnaire on ‘In-situ Preservation and Storage: Practitioner Attitudes and Behaviours’ (N. Ortmann, J.F. McKinnon and V. Richards, Bulletin of the Australasian Institute for Maritime Archaeology, 34, 2010: 27-44) and the resources listed below. The 2011 Wreck Watch questionnaire flags up the concerns and, in many circles, the distrust of the spirit of in situ preservation imposed on marine archaeology today. This is regrettable and unnecessary. The various scholarly explanations of the Convention on the Protection of the Underwater Cultural Heritage reveal UNESCO’s true meanings and expose the current furore as much ado about nothing. How this meaning has failed to be faithfully disseminated to government and heritage bodies, universities and avocational wreck divers is a disturbing trend that demands serious questions be asked of national UNESCO representatives. Diving the USS Monitor off North Carolina. © NOAA. Truth be told, as potent a tool as survey has long been within archaeology, ever since John Ward-Perkins directed the South Etruria survey between the 1950s and 1970s, it is meaningless without knowledge obtained from excavation. Closed shipwreck assemblages have not only vastly tightened ceramic chronologies of all periods on land – the very foundations of stratigraphic archaeology as a science – they are the means of dating and determining the relative importance of sites surveyed underwater. Simply put, we cannot fully understand a shipwreck without comparative excavation. As a blanket concept in situ preservation is hollow without qualification of the evidential value of a shipwreck site: the key question is surely not how well a site is or should be preserved – coherent or scattered – but to what extent can its character contribute to science and society. Formulating a value-based graded classification system focused on date, cargo/domestic assemblage character, level of preservation and site formation is a priority that UNESCO could choose to develop to equip signatories with a relatively objective and powerful mechanism through which to channel managerial options and, ultimately, to assess the appropriateness of in situ preservation as a valid managerial option. Total Archaeology? 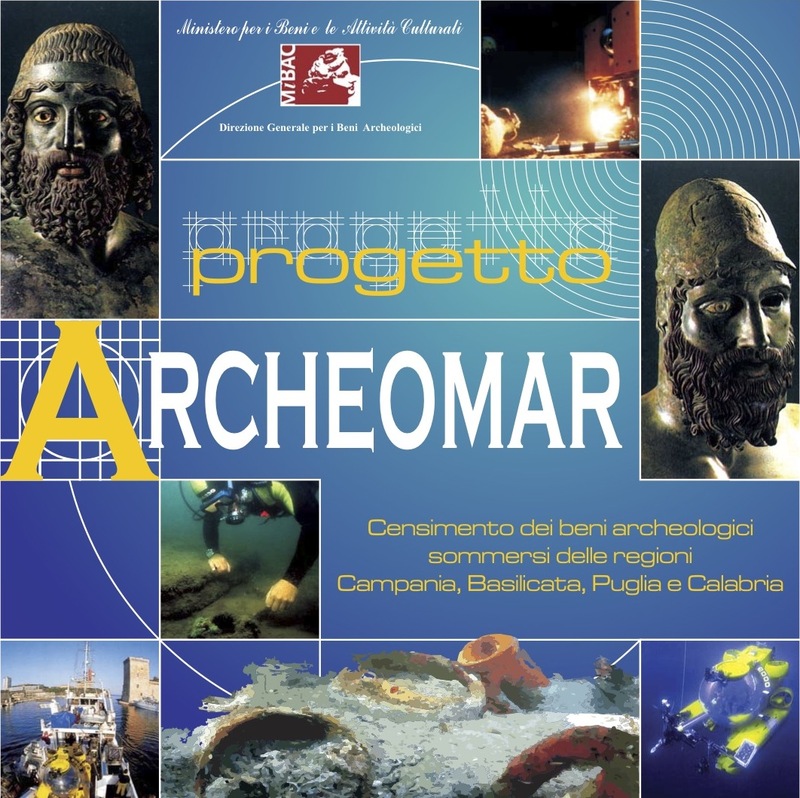 The Archeomar Project, Italy. In turn, this demands knowledge of regional volumes and types of wrecks and sites as have been registered through intensive surveys conducted off Israel, Croatia and most recently off Italy through the compelling Archaeomar project. In many countries in situ preservation currently ignores these issues, treats wrecks as culturally isolated and is being used as little more than a defensive parking ticket. Legitimate and careful excavation is the cornerstone of archaeology and is here to stay through controlled channels. To argue otherwise misunderstands the structure and purpose of the science. Rather than solely cling to the UNESCO Convention, countries seriously concerned by looting and excessive excavation could introduce and enforce licensing systems as surely the most effective managerial tool. The strict measures by which the Israel Antiquities Authority grants permits, for instance, has for decades included evidence of university affiliation to ensure good science, proof of project funding and guarantees of preliminary and final publication timetables within two to five years (as well as a report to be submitted to the Authority within a year of each season’s excavation). It is no surprise that alongside America and France Israel has the highest publication rate in the world per capita of sites studied. 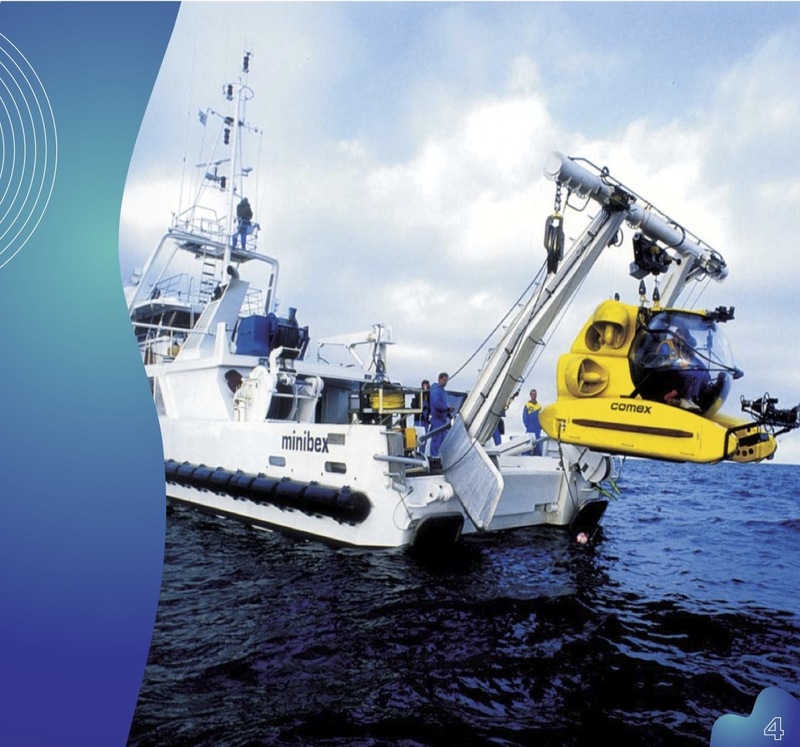 Archeomar: Diving for Deep Wrecks with a Submersible. Finally, based on the results of its questionnaire Wreck Watch calls on UNESCO to present examples of acceptable case studies of in situ projects and excavations to be publicly presented, and for the current climate of all-encompassing excavation denial at the hands of many national heritage bodies to be replaced with respectful clarity. Careful project planning to acknowledge the concept of in situ preservation as the first option underlies the fundamental spirit of the Convention of the Protection of the Underwater Cultural Heritage, but the holistic understanding of the true synergy of marine archaeology must not be swept aside. UNESCO is right: the past is a finite resource and its study demands careful thought, rather than short-sighted exploitation. Ultimately, though, like a theatrical play archaeology can and should be approached and interpreted in myriad scientific and creative ways to gain maximum understanding from limited resources. John Broadwater, Maritime Archaeological Consultant & former Senior Underwater Archaeologist, National Oceanic & Atmospheric Administration (NOAA). Rami Kokko, Researcher/Conservator, Vrouw Maria project, National Board of Antiquities, Finland. George F. Bass, Distinguished Professor Emeritus, Texas A&M University, & Founder & Chairman Emeritus, Institute of Nautical Archaeology, USA. Thomas F. King, Writer/Consultant in Cultural Resource/Heritage Management. John M. Bingeman, CEng, MIMechE, Government Licensee Invincible (1758) Historic Wreck Site (1980-2010); Government Licensee ‘The Needles’ Wreck Site (1978-1986). Katerina DellaPorta, Director of Antiquities, Greek Ministry for Culture, Athens Greece. • “The protection of the sites should consider promoting the interest of the local (general) public (especially at the poor countries) to draw their attention to the objectives of safeguarding the wrecks instead of plundering the cargos on the [one] hand, on the other to make use of it till properly recorded”. Ahmed Omar, Department of Underwater Antiquities, State Ministry of Antiquities, Egypt. Shirley Strachan, State Maritime Archaeologist, Victoria, Australia, 1985-2000. Miguel San Claudio Santa Cruz, Manager, Archeonauta s.l., Spain. Dr. Mariano J. Aznar-Gómez, Professor of Public International Law, Universitat Jaume I, Spain. Richard Larn, OBE. Licensee of one site, two others in the past; member of the Mary Rose excavation team; President of IMASS; founder, owner & curator for 22 years of the Charlestown Shipwreck Centre, Cornwall. Robert Peacock, Msc Maritime Archaeology. Frank L. Fox, Birmingham, Alabama, independent naval researcher (particular interest in the history, ships, and ordnance of the 17th century). Peter Holt, 3H Consulting Ltd, UK. Ben Marich, Executive Director, International Marine Training Academy, Georgetown, Grand Cayman, Cayman Islands. Brown, R., Bump, H., Muncher, D.A., ‘An In Situ Method for Determining Decomposition Rates of Shipwrecks’, International Journal of Nautical Archaeology 17.2 (1988), 143-45. Cohn, A.B., ‘A Perspective on the Future of Underwater Archaeology’, Historical Archaeology 34.4 (2000), 18-21. Dromgoole, S. (ed. 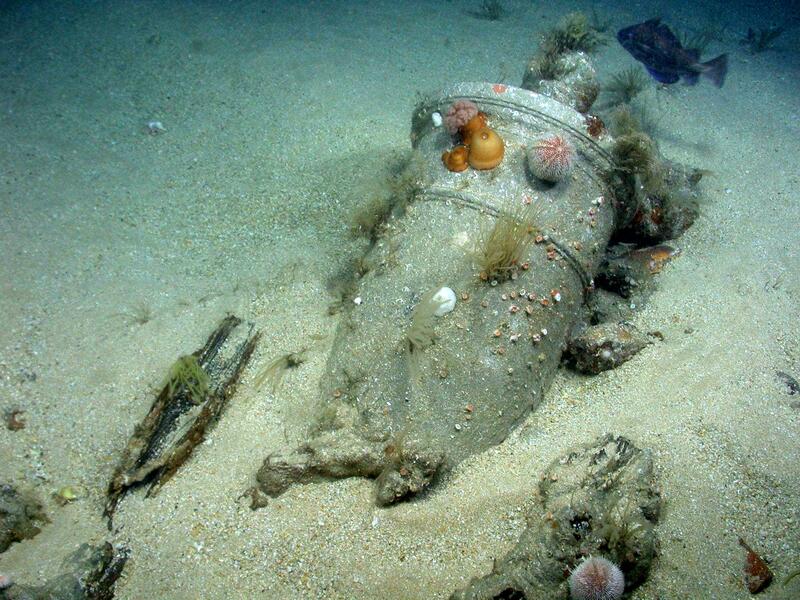 ), The Protection of the Underwater Cultural Heritage. National Perspectives in Light of the UNESCO Convention 2001 (Leiden, 2006). Forrest, C., International Law and the Protection of Cultural Heritage (London, 2010). González, A.W., O’Keefe, P., Williams, M., ‘The UNESCO Convention on the Protection of the Underwater Cultural Heritage: a Future for our Past?’ Conservation and Management of Archaeological Sites 11.1 (2009), 54-69. Grenier, R., Nutley, D. and Cochran, I., Underwater Cultural Heritage at Risk: Managing Natural and Human Impacts (ICOMOS, 2006), especially: Bernier, M-A., ‘To Dig or not to Dig? 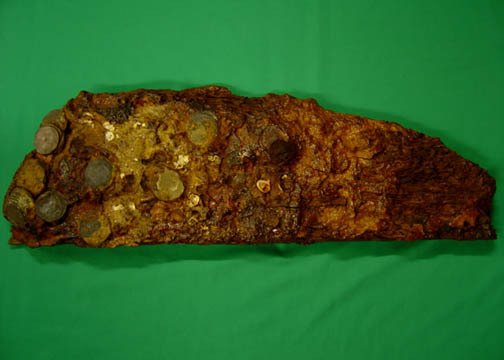 The Example of the Shipwreck of the Elizabeth and Mary’, 64-6; Broadwater, J.D., ‘The USS Monitor: In Situ Preservation and Recovery’, 78-81; Manders, M.R., ‘The In Situ Protection of a Dutch Colonial Vessel in Sri Lankan Waters’, 58-60; Manders, M.R., ‘The In Situ Protection of a 17th-Century Trading Vessel in the Netherlands’, 70-2; Viduka, A., ‘Managing Threats to Underwater Cultural Heritage Sites: the Yongala as a Case Study’, 61-3. Greene, E.S., Leidwanger, J., Leventhal, R.M., and Daniels, B.I., ‘Mare Nostrum? Ethics and Archaeology in Mediterranean Waters’, American Journal of Archaeology 115 (2011), 311-19. Kingsley, S., ‘Challenges of Maritime Archaeology: In Too Deep’. In T.F. King (ed. 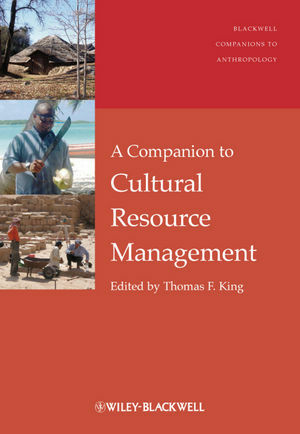 ), A Companion to Cultural Resource Management (Oxford, 2011), 223-44. Manders, M., ‘In Situ Preservation: ‘the Preferred Option’, Museum International (2008), 31-41. Maarleveld, Th., Guérin, U. and Egger (eds. ), Underwater Cultural Heritage and the Rules of the UNESCO 2001 Convention: a Manual (UNESCO, 2011). O’Keefe, P., Shipwrecked Heritage: a Commentary on the UNESCO Convention on Underwater Cultural Heritage (Leicester, 2002). O’Keefe, P., ‘The UNESCO Convention on the Protection of the Underwater Cultural Heritage: a Future for our Past? The Implementation of the 2001 Underwater Convention’, Conservation and Management of Archaeological Sites 11.1 (2009), 58-60. Olsson, A., ‘Some Reflections of Underwater Cultural Heritage Management’, MACHU Report 2 (2009), 48-9. Ransley, J., ‘Rigorous Reasoning, Reflexive Research and the Space for ‘Alternative Archaeologies’. Questions for Maritime Archaeological Heritage Management’, International Journal of Nautical Archaeology 36.2 (2007), 221-37. Richards, V., Godfrey, I., Blanchette, R., Held, B., Gregory, D. and Reed, E., ‘In-situ Monitoring and Stabilisation of the James Matthews Shipwreck Site’, Proceedings of the 10th ICOM Group on Wet Organic Archaeological Materials Conference (2009). Stemm, G. and Kingsley, S., eds., Oceans Odyssey 2. Underwater Heritage Management & Deep-Sea Shipwrecks in the English Channel & Atlantic Ocean (Oxford, 2011, 1-26): various papers on ‘Underwater Cultural Heritage & UNESCO in New Orleans’. The UNESCO Convention for the Protection of the Underwater Cultural Heritage. Proceedings of the Burlington House Seminar, October 2005 (JNAPC, 2006). White, C., ‘Too Many Preserved Ships Threaten the Heritage’. In M. Bound (ed. ), The Archaeology of the Ships of War (Oswestry, 1994), 179-83. Vadi, V.S., ‘Investing in Culture: Underwater Cultural Heritage and International Investment Law’, Vanderbilt Journal of Transnational Law 42 (2009), 853-904. Williams, M., ‘The UNESCO Convention on the Protection of the Underwater Cultural Heritage: a Future for our Past? Towards a Two-speed Implementation?’, Conservation and Management of Archaeological Sites 11.1 (2009), 60-67.